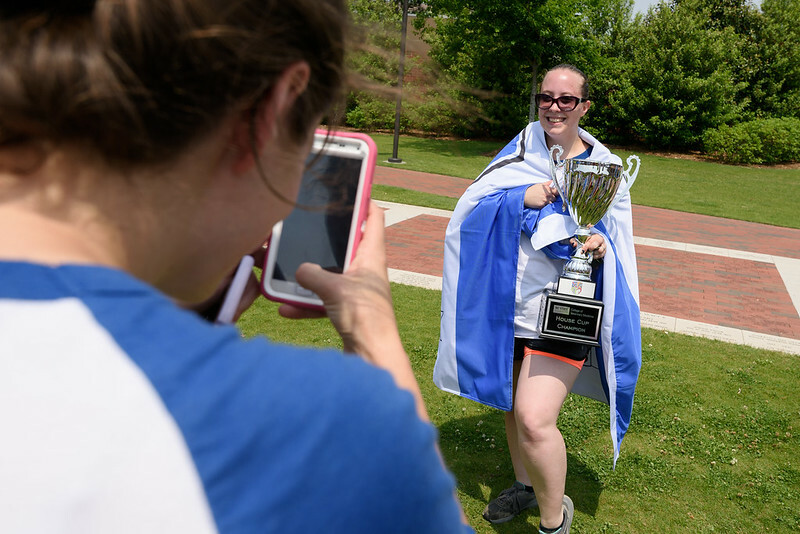 The Winner of the CVM’s Inaugural House Cup Is? 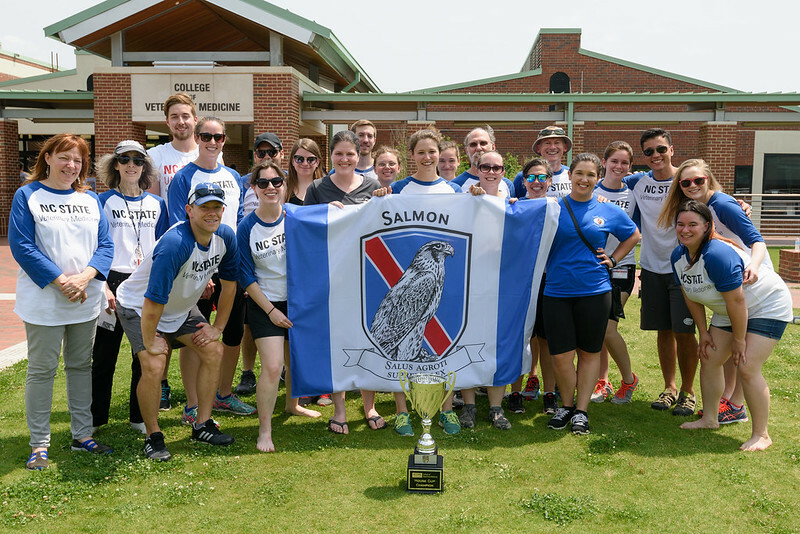 Falcons are known for their incredible speed and ability to make literal mincemeat of their prey. 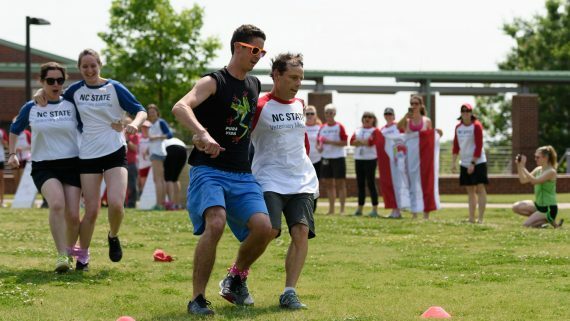 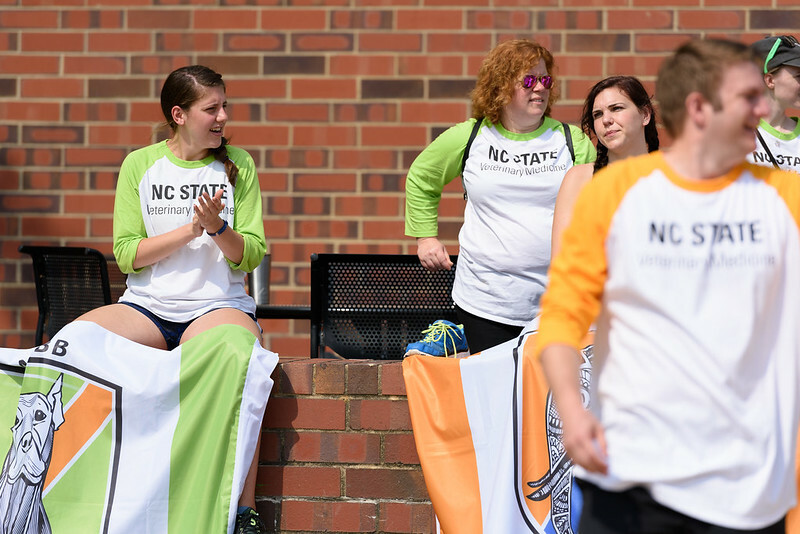 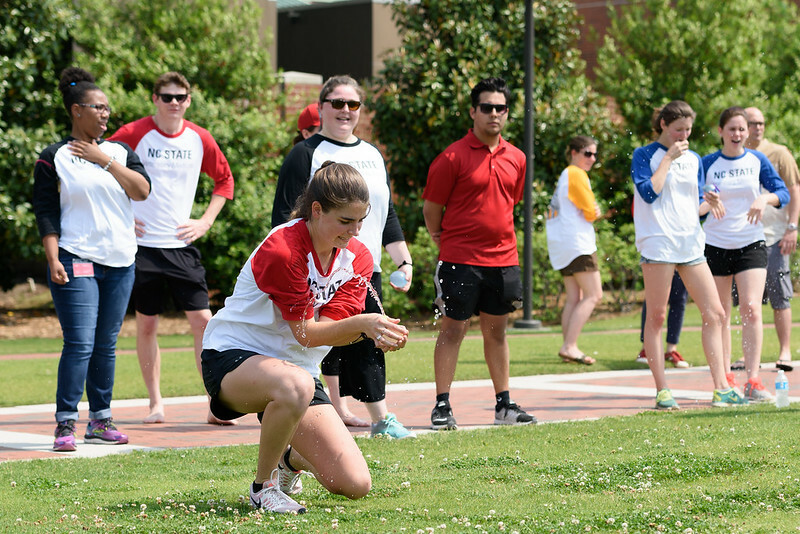 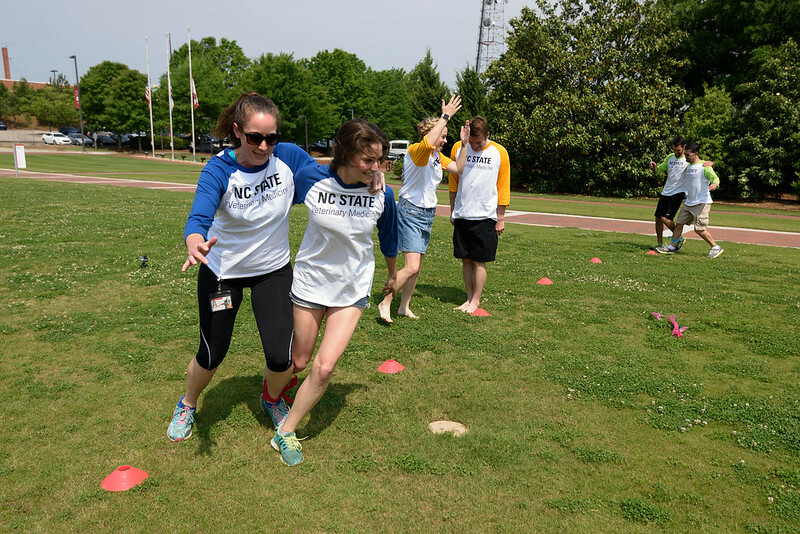 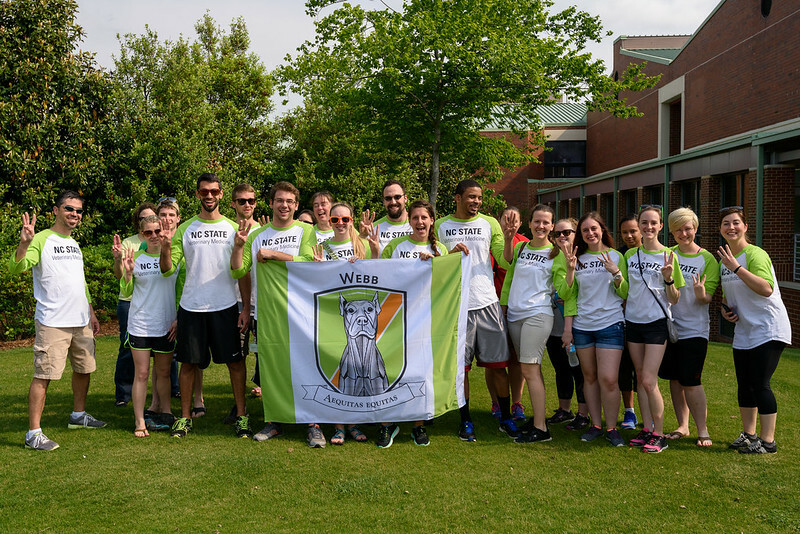 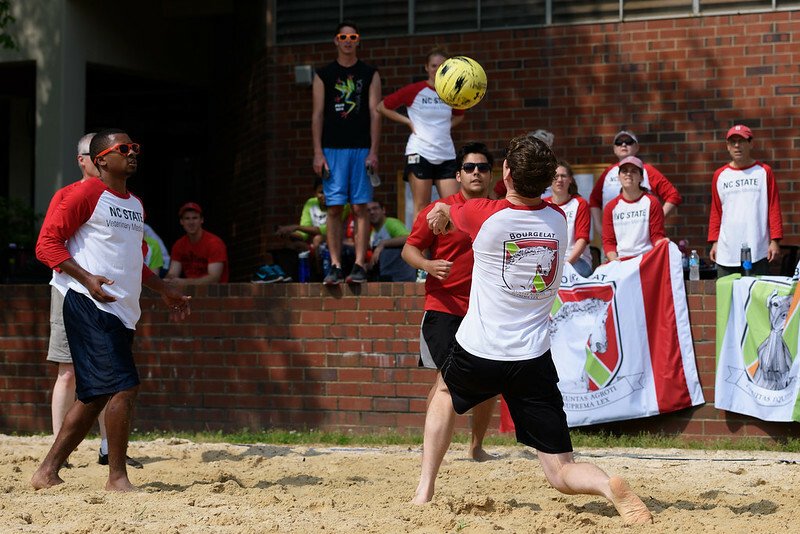 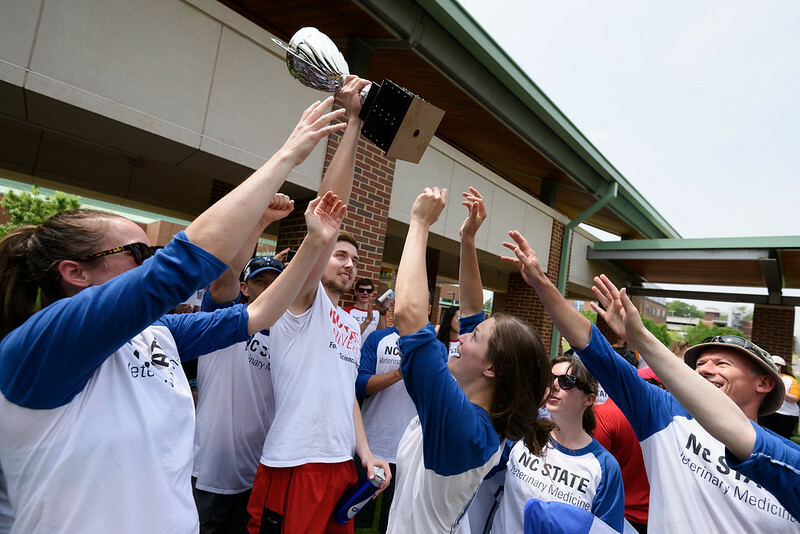 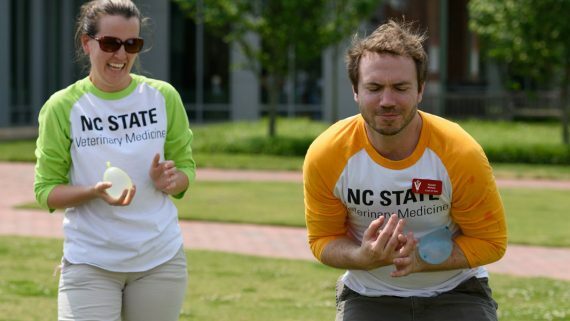 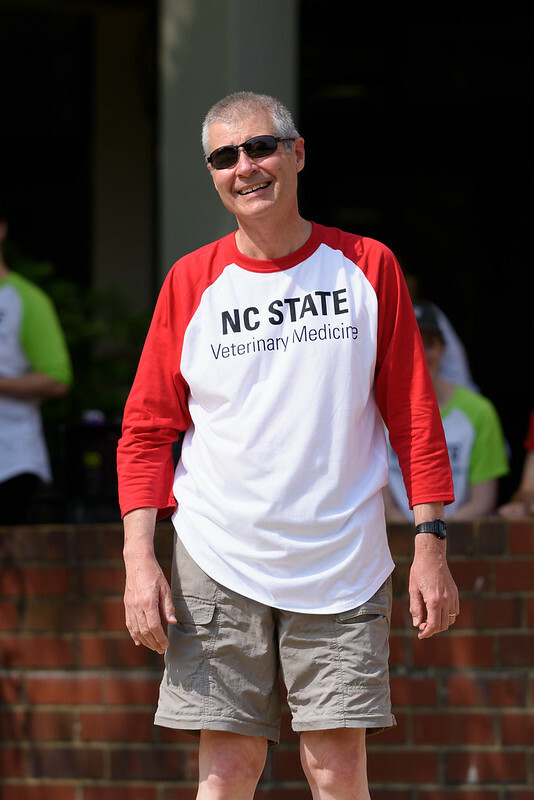 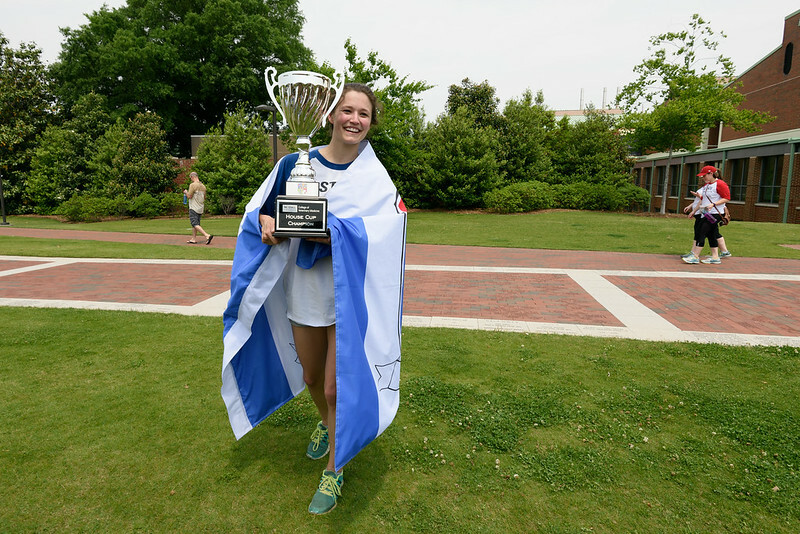 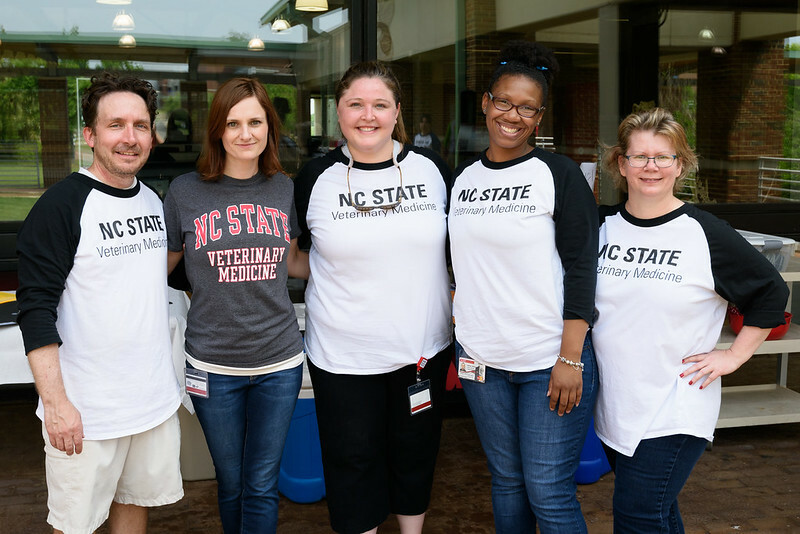 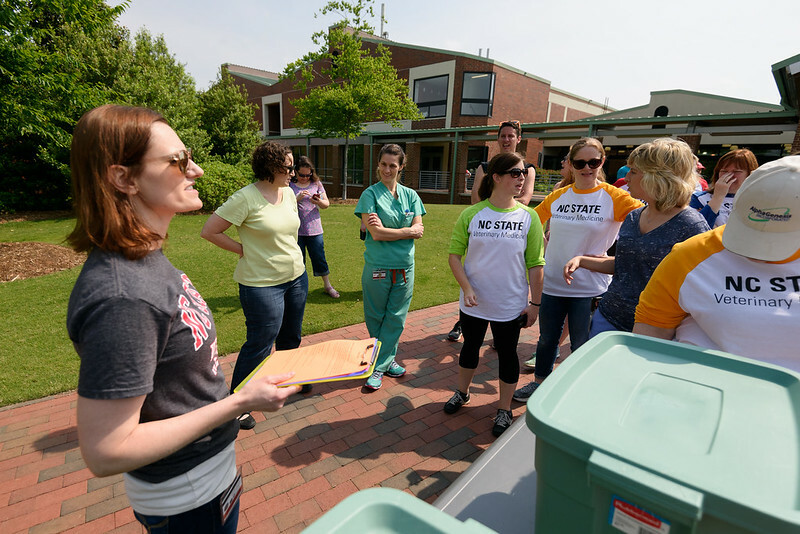 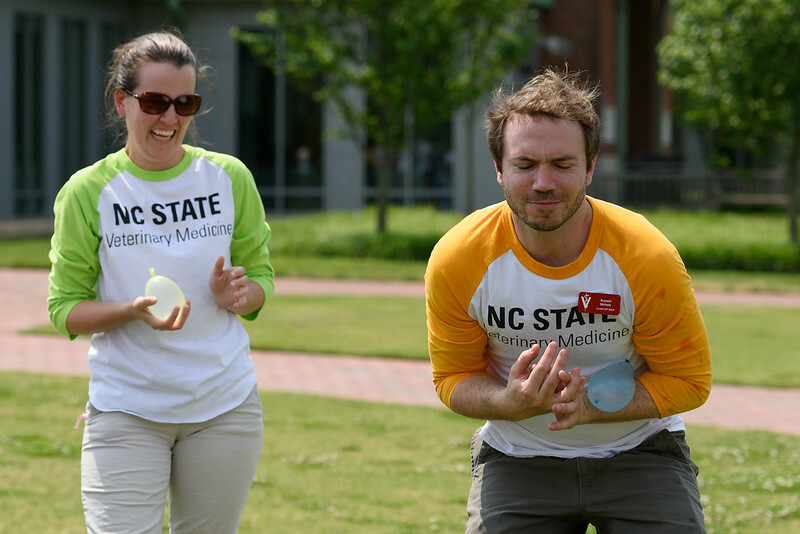 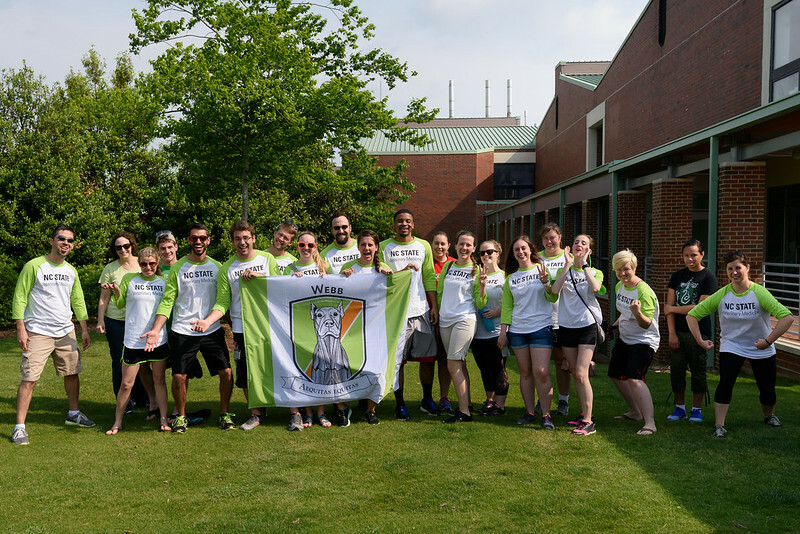 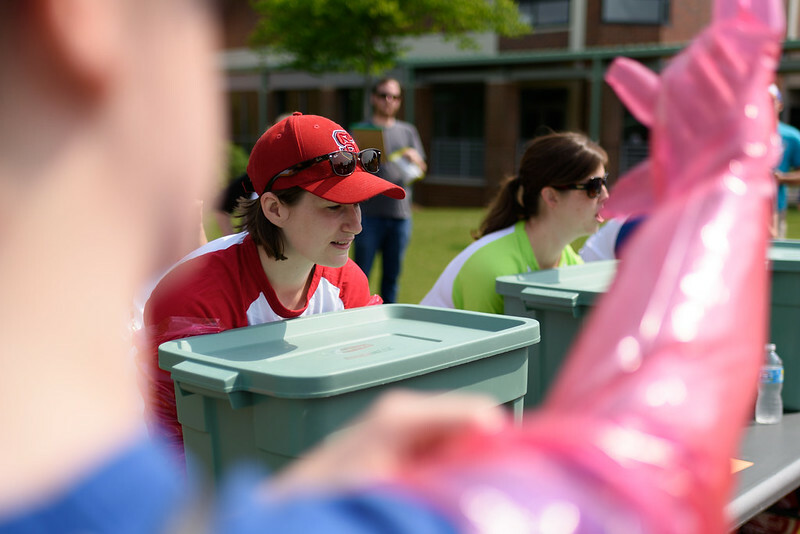 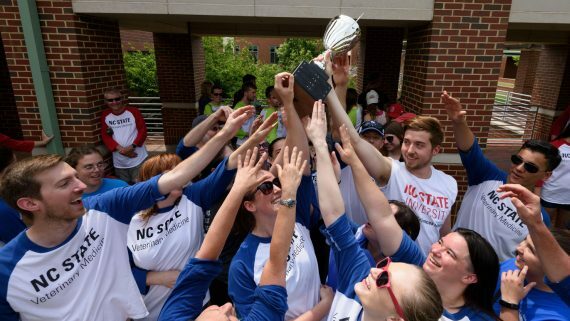 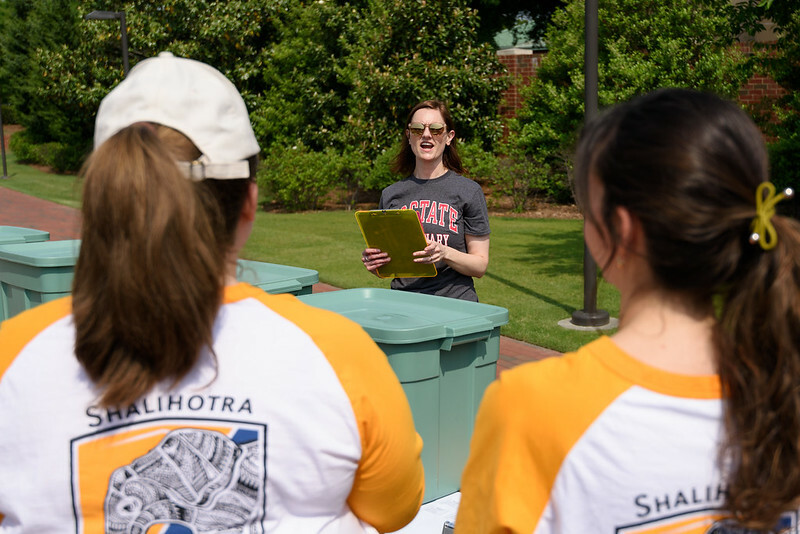 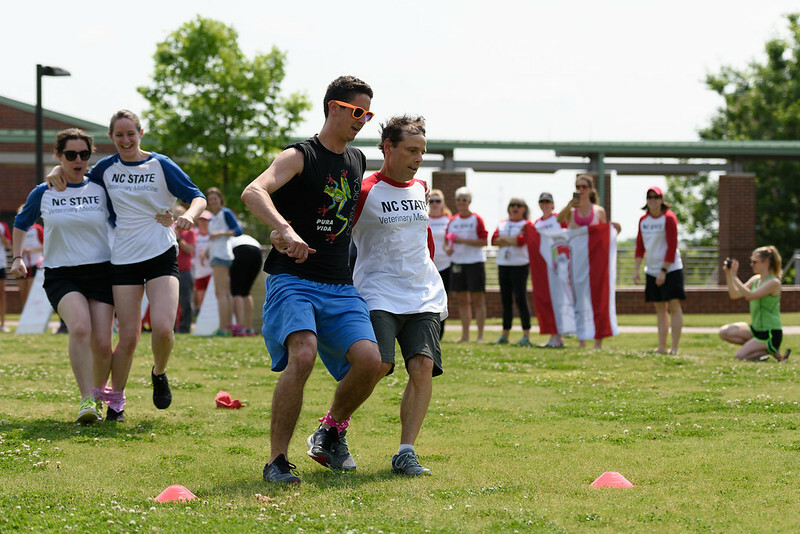 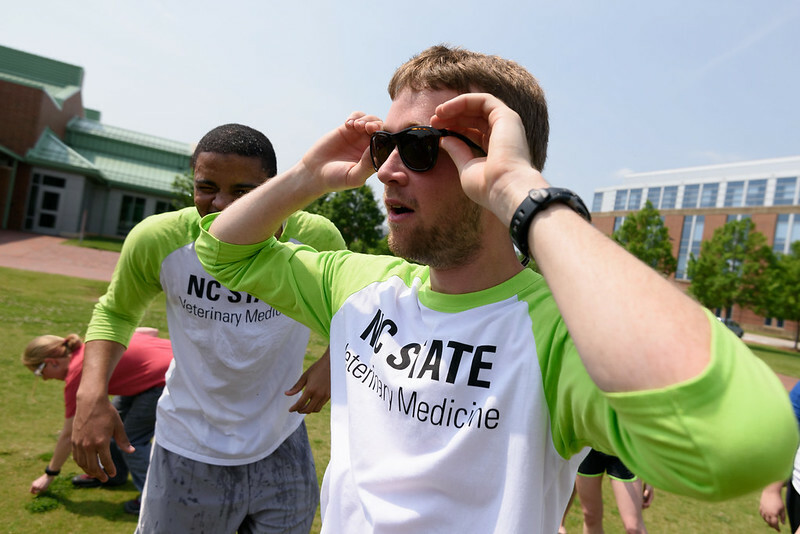 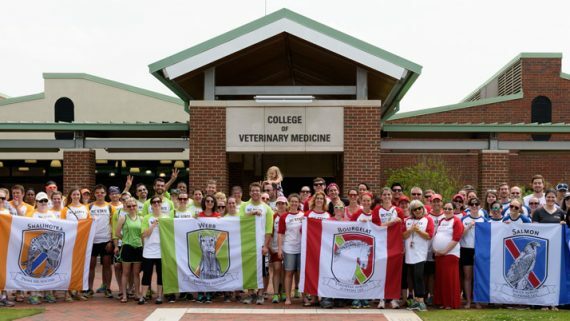 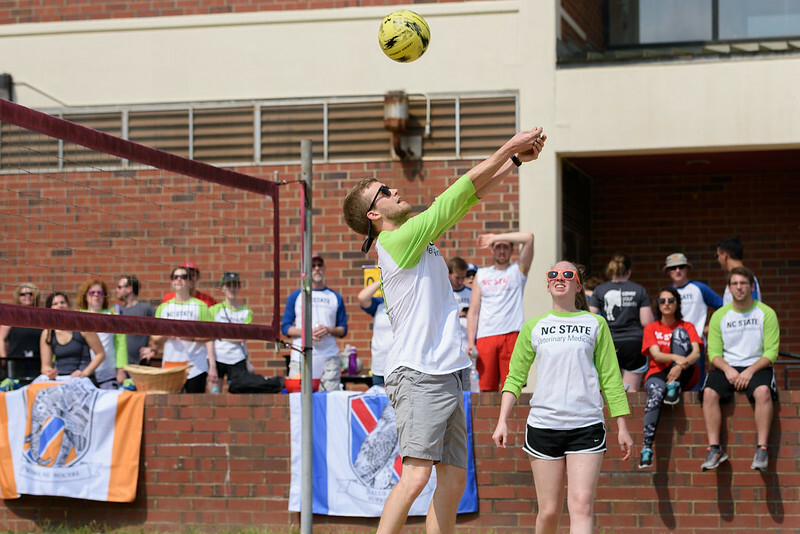 Sporting the bird of prey on their crest, House Salmon (named after veterinary medicine pioneer Daniel Salmon) was declared the winner Saturday of the NC State College of Veterinary Medicine’s inaugural House Cup. 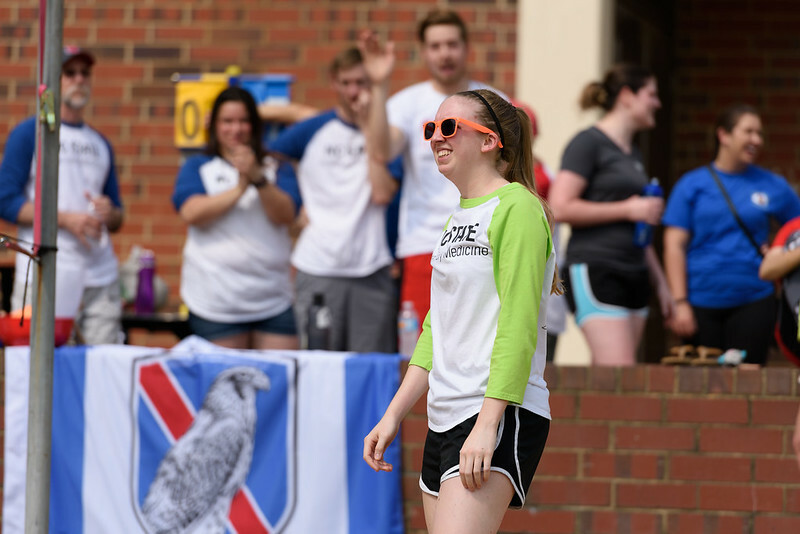 Even a last-place finish during the weekend’s House Games didn’t harm House Salmon’s chances at victory over its rival houses: House Bourgelat, House Shalihotra and House Webb. 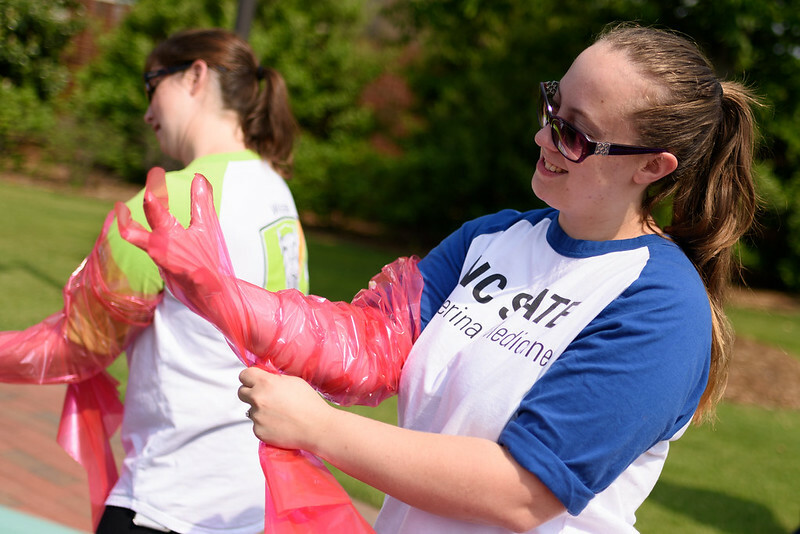 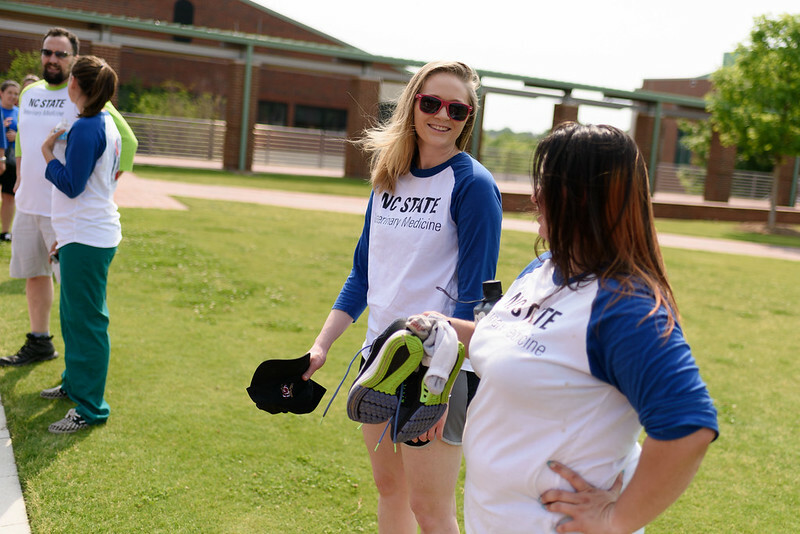 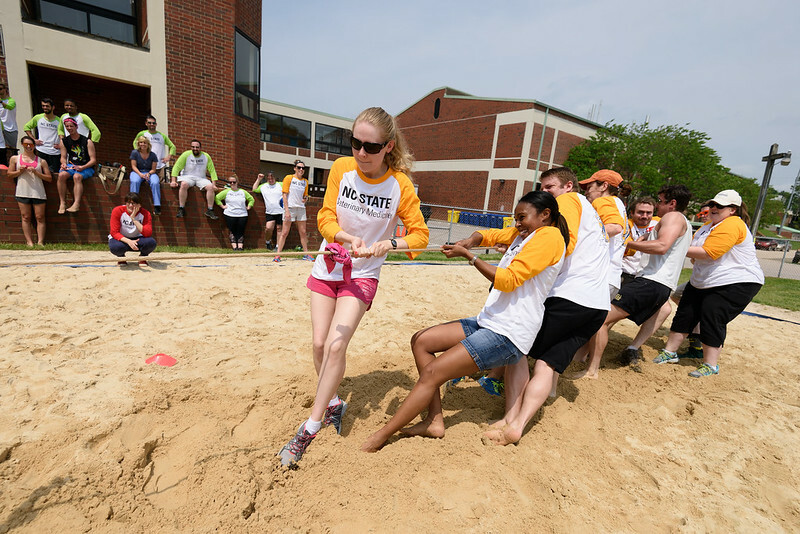 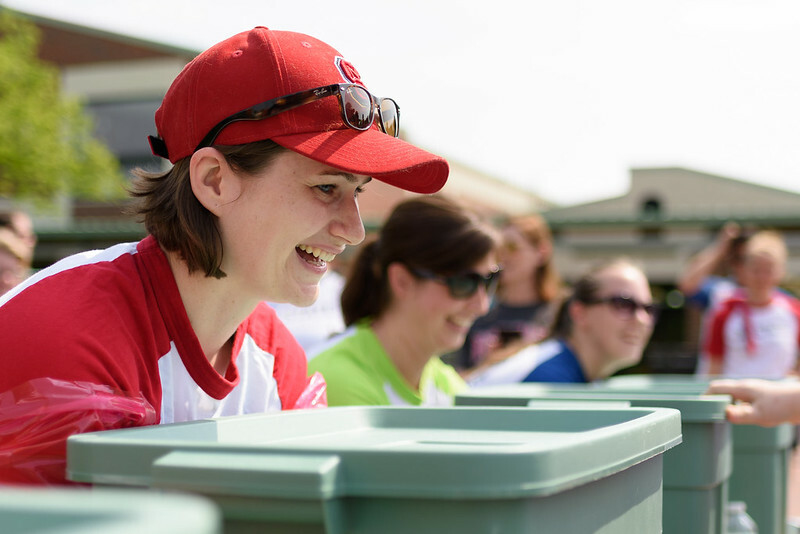 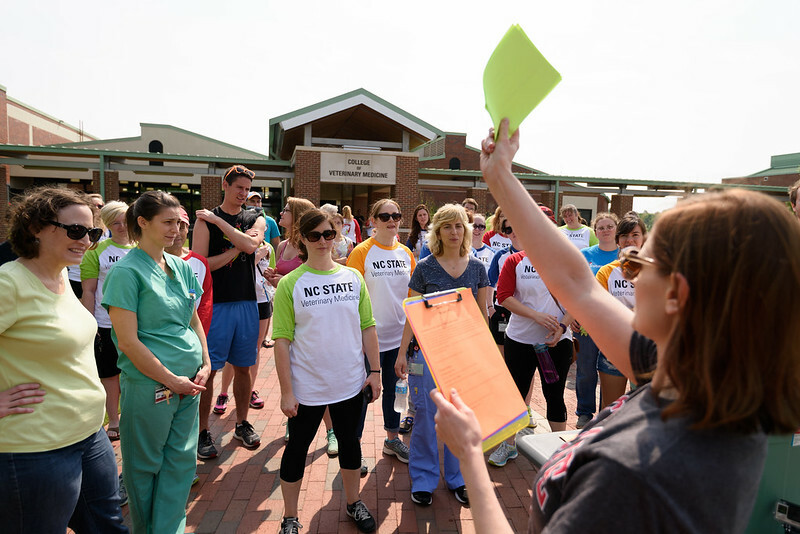 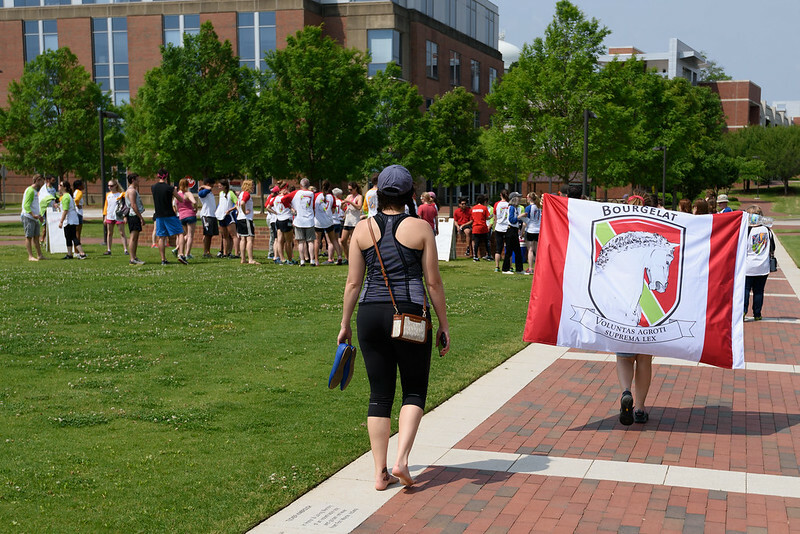 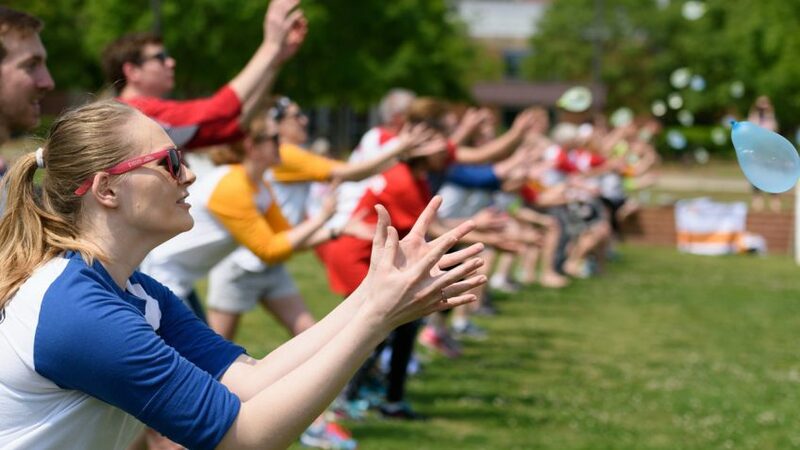 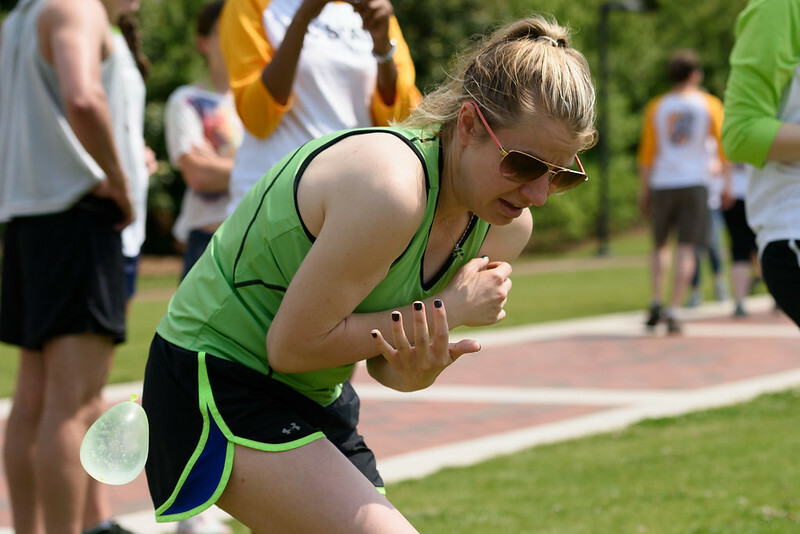 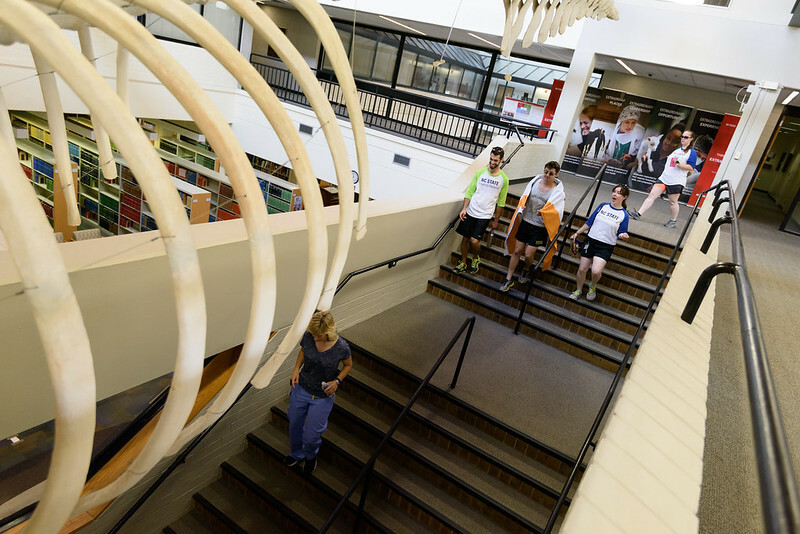 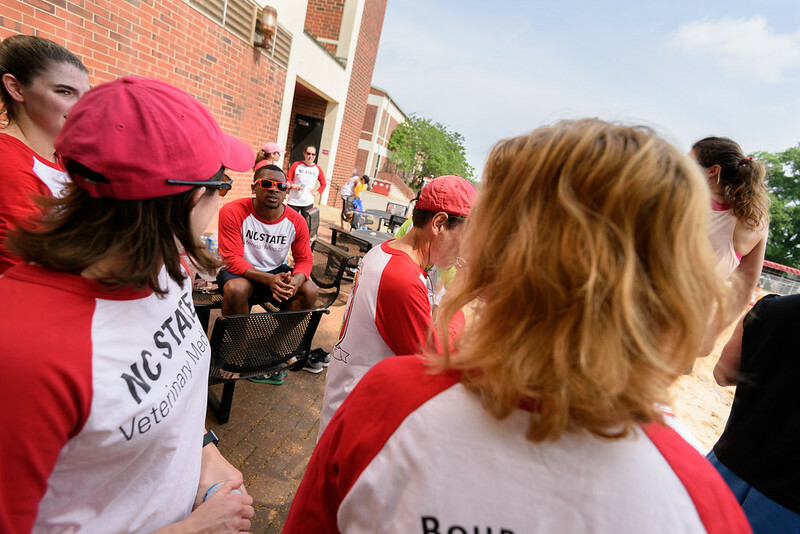 Saturday’s on-campus games closed the first year of the CVM’s House System, a college-wide wellness initiative. 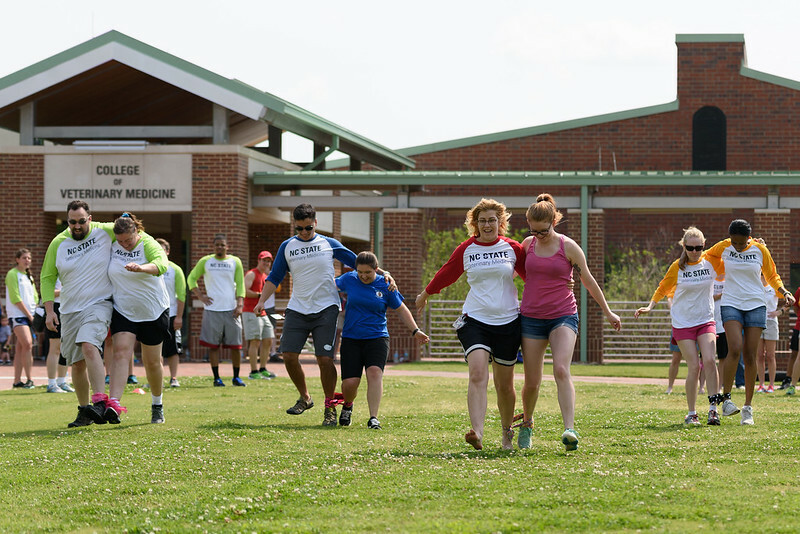 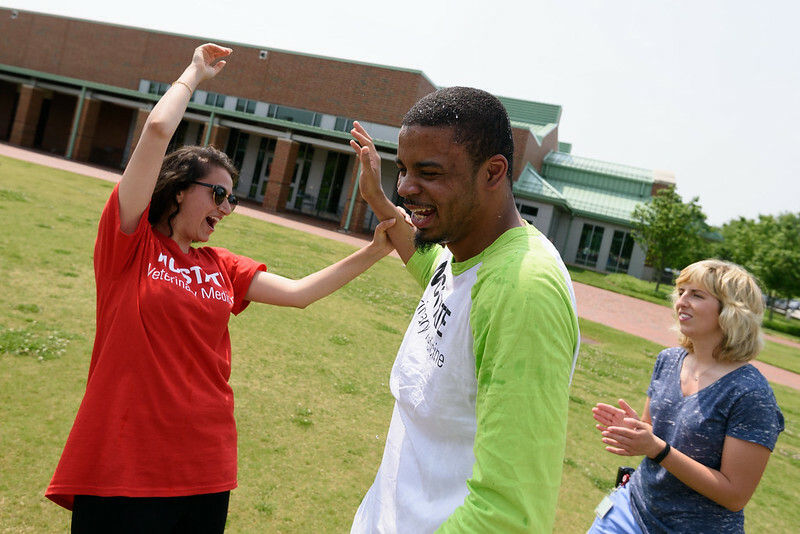 During the year, house members earned points for involvement in various activities promoting physical and mental health, cultural awareness and intellectual curiosity. 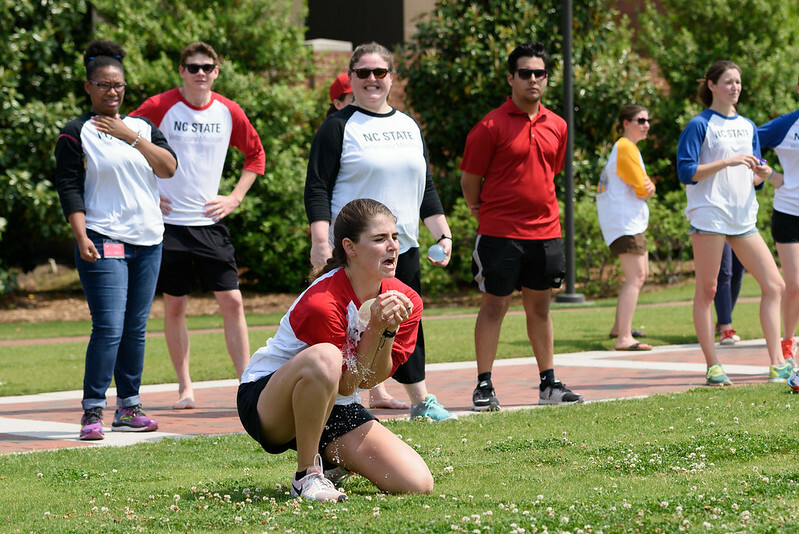 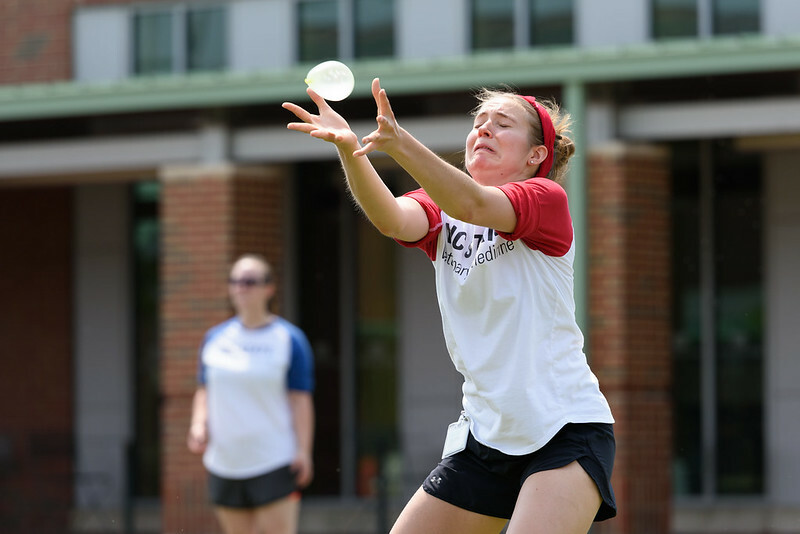 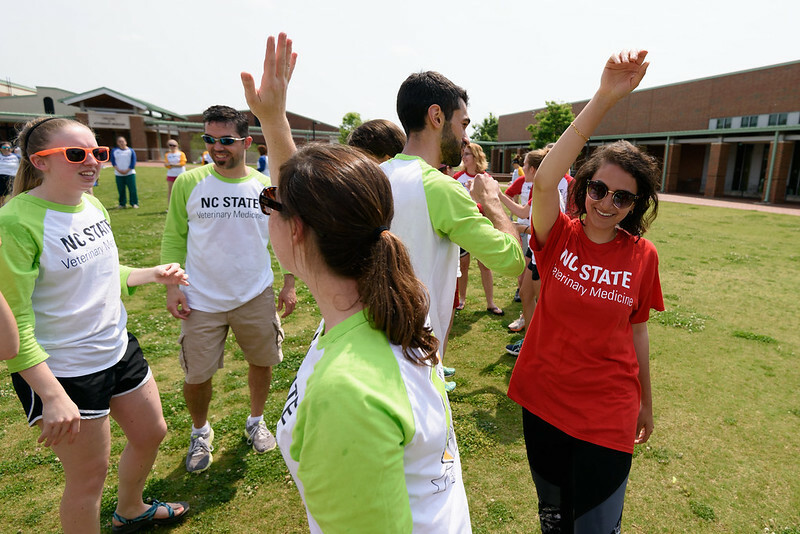 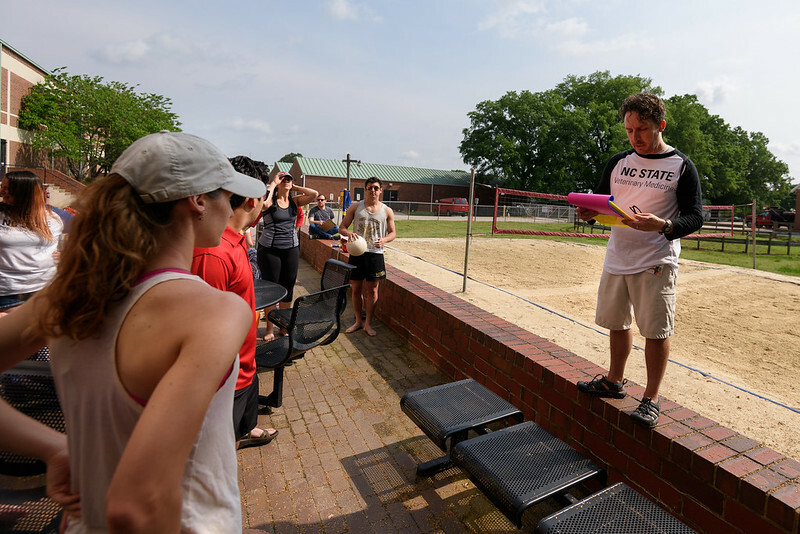 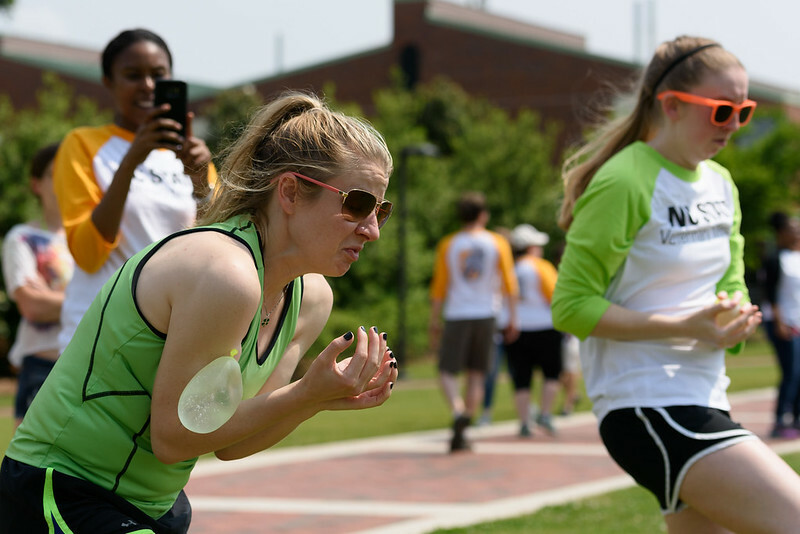 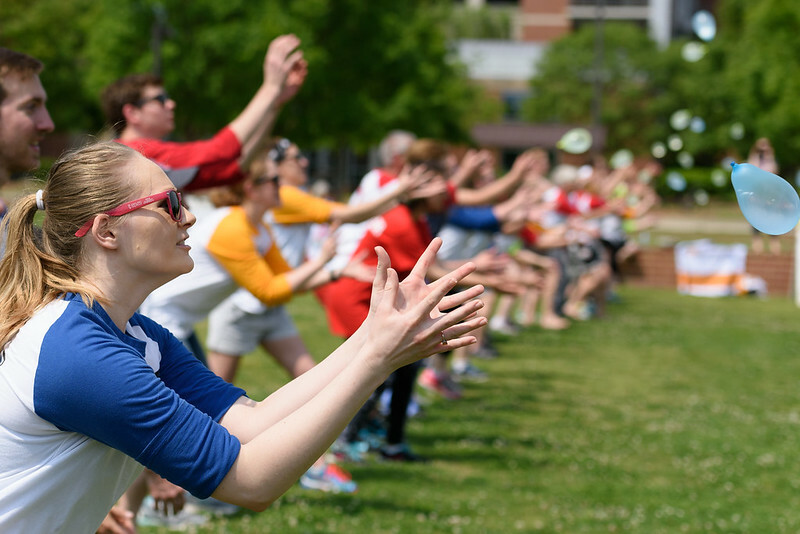 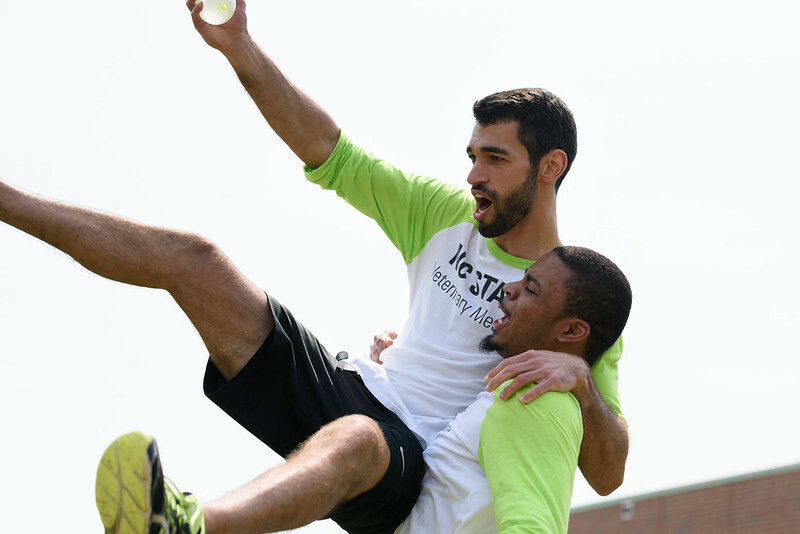 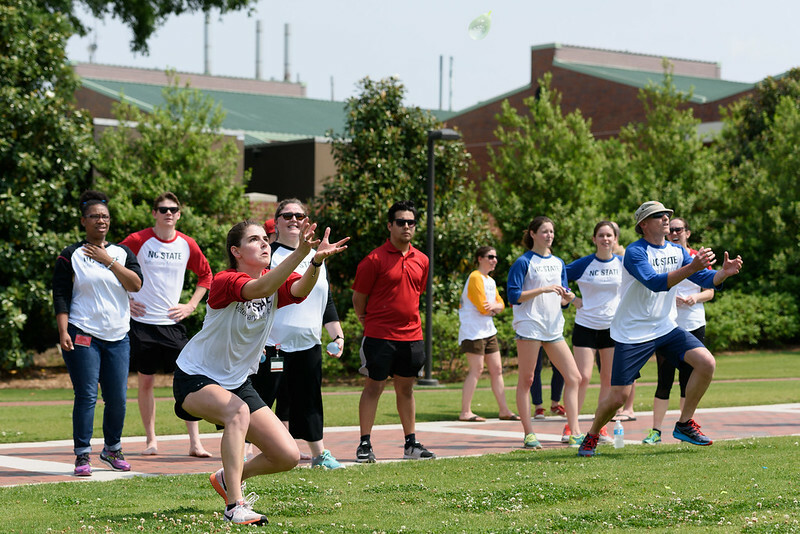 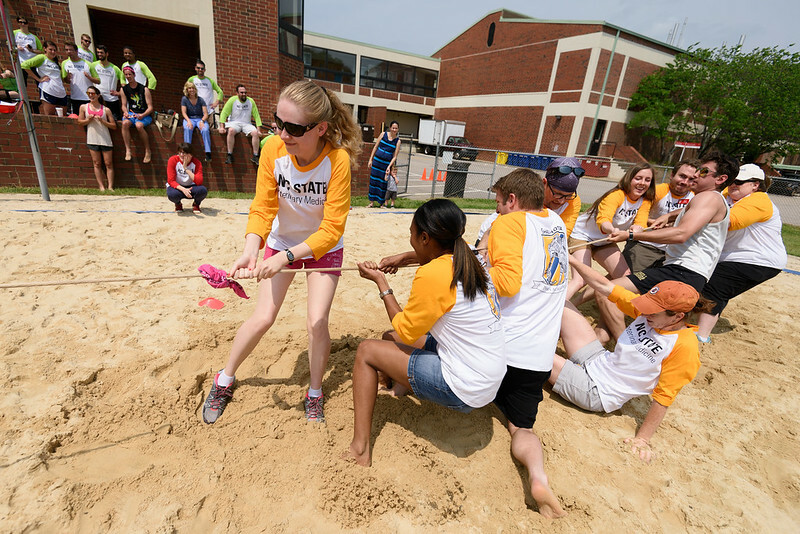 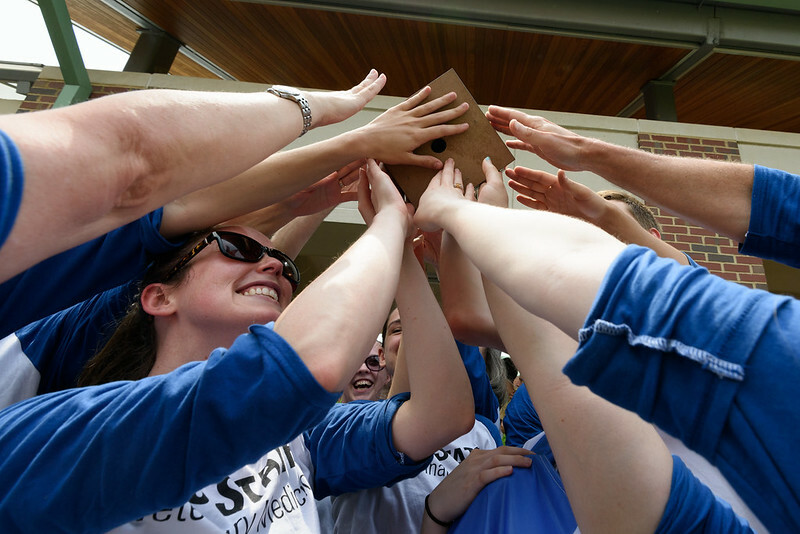 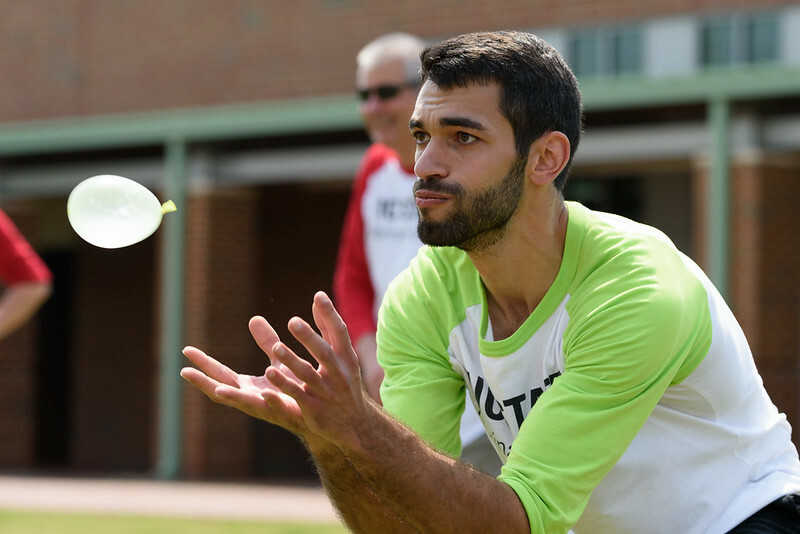 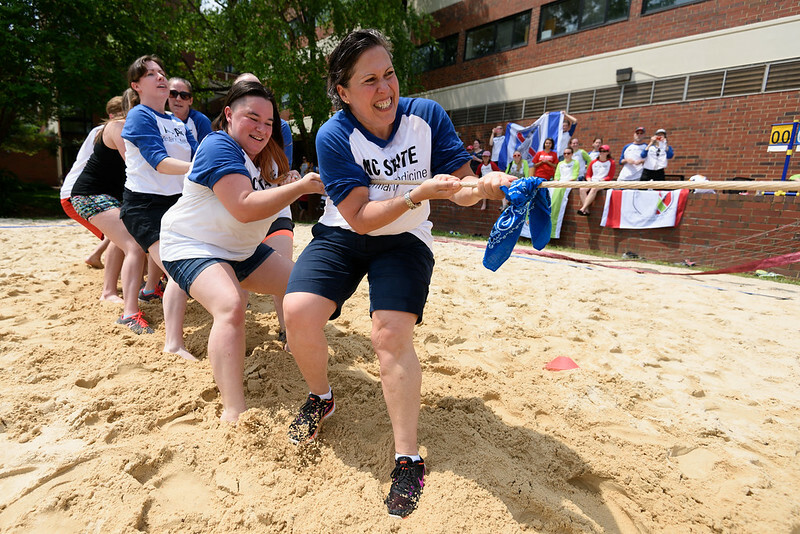 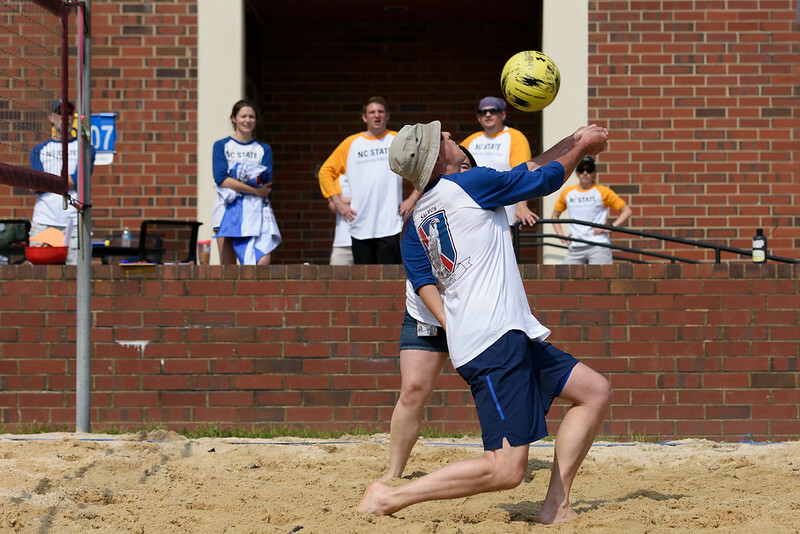 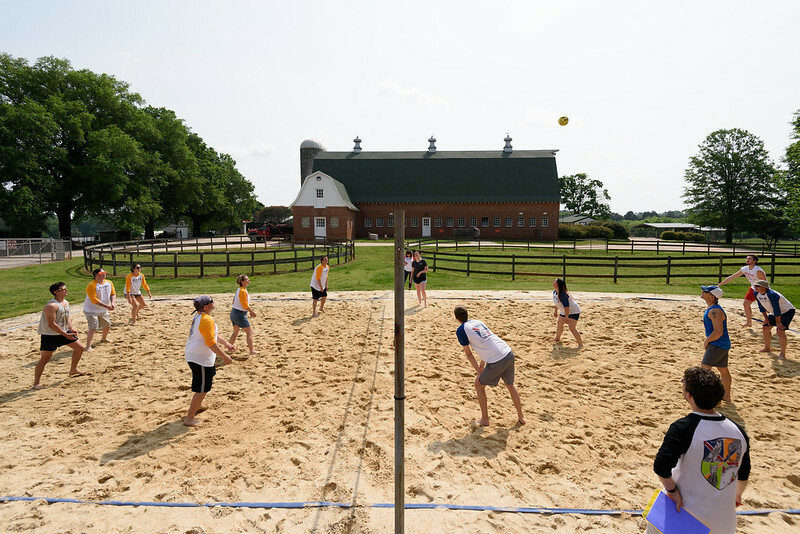 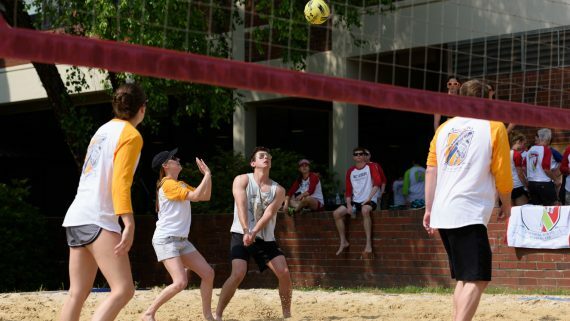 But it would be games of volleyball and a particularly welcome balloon toss on a hot a humid morning that would help determine the group of students, faculty and staff who would earn bragging rights as the first-ever team to hoist the House Cup in victory. 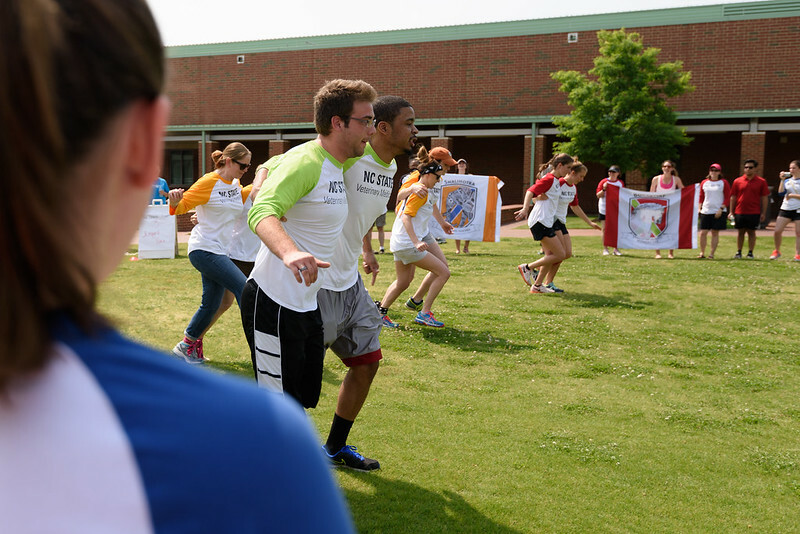 Here’s a look at the day’s competitive battle royale. 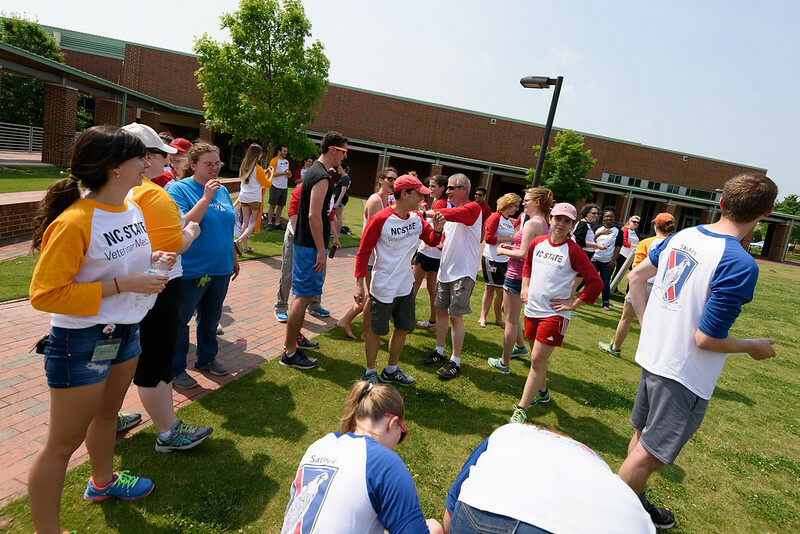 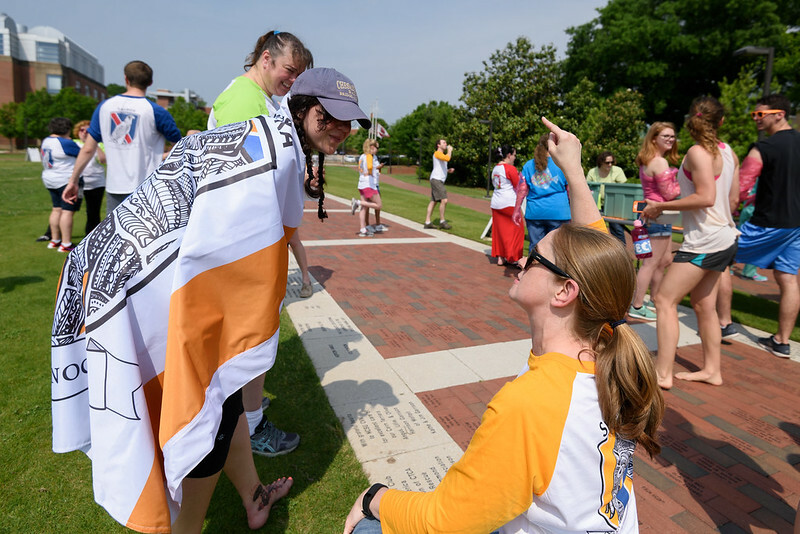 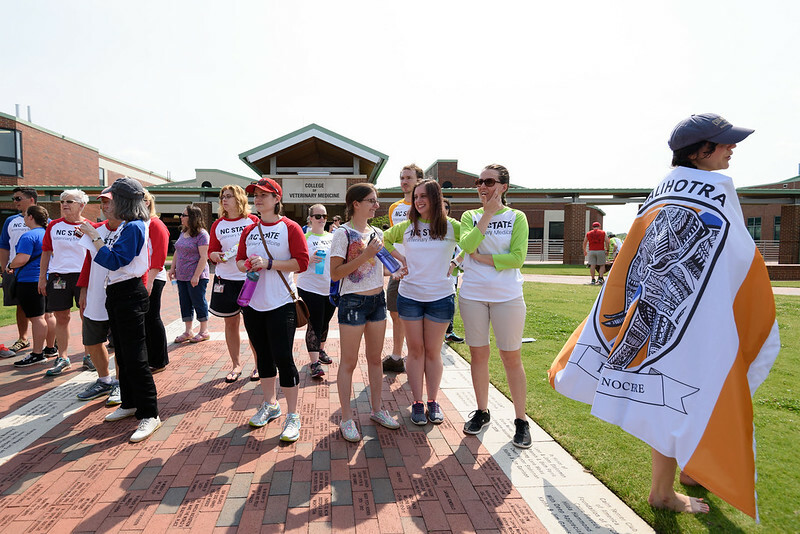 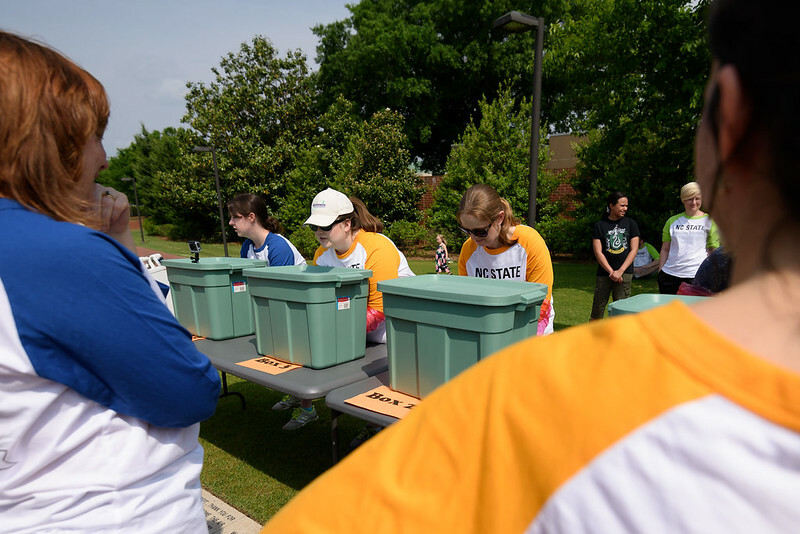 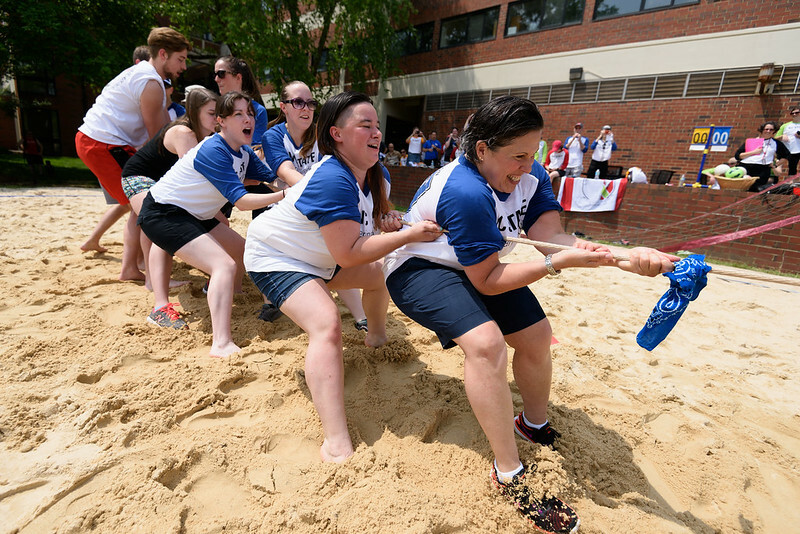 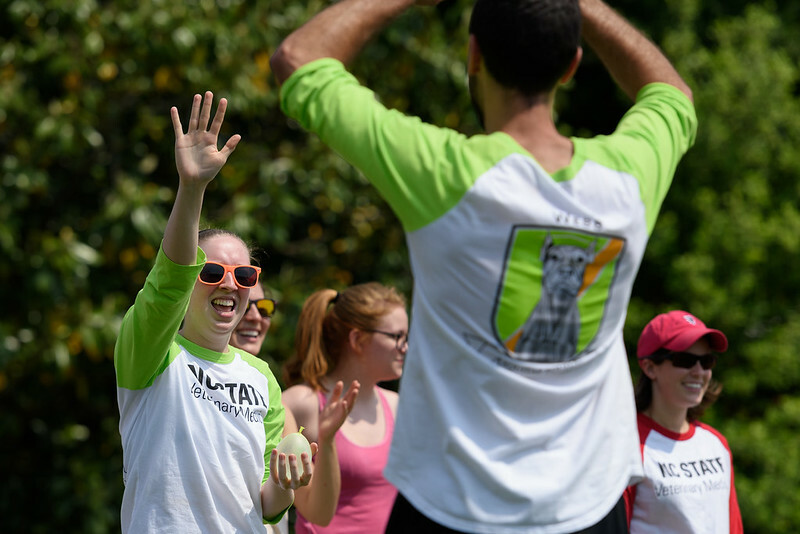 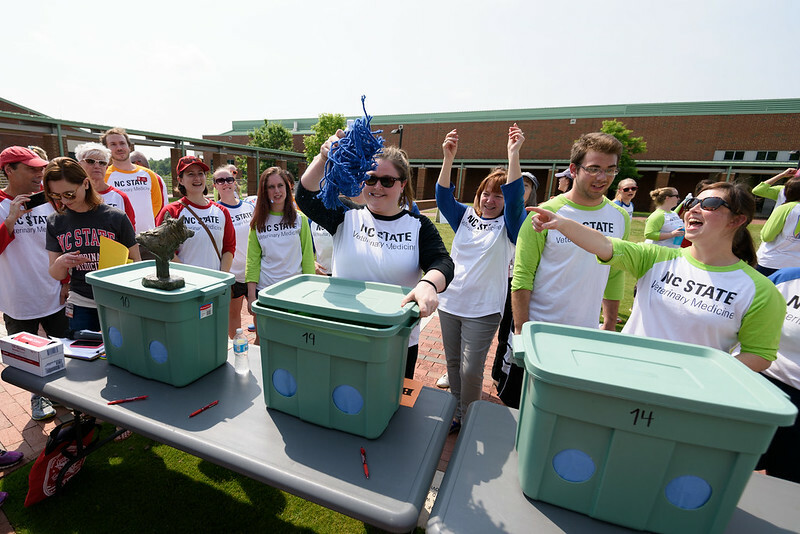 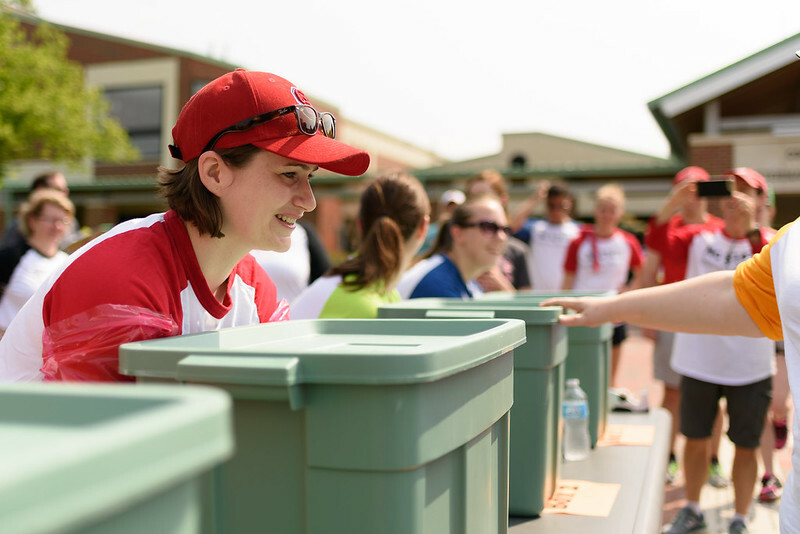 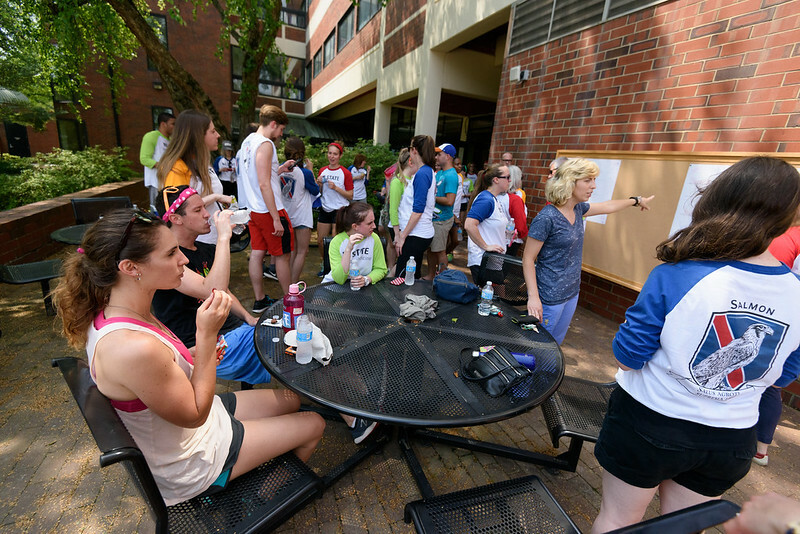 After a motivational opening ceremony on the CVM’s front lawn, the teams, each boasting about 20 members each, headed to the day’s first events: a volleyball tournament and a quiz bowl. 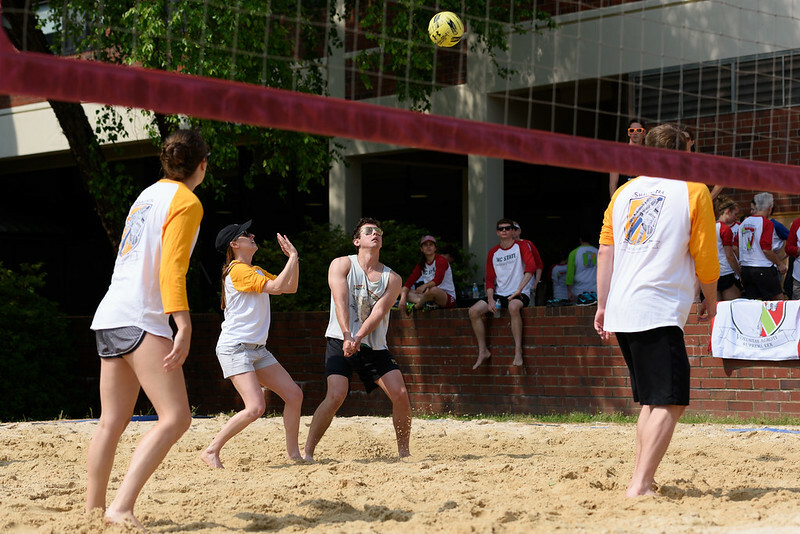 The volleyball tourney continued throughout the day and students and staff showed off some particularly strong serving and spiking skills. 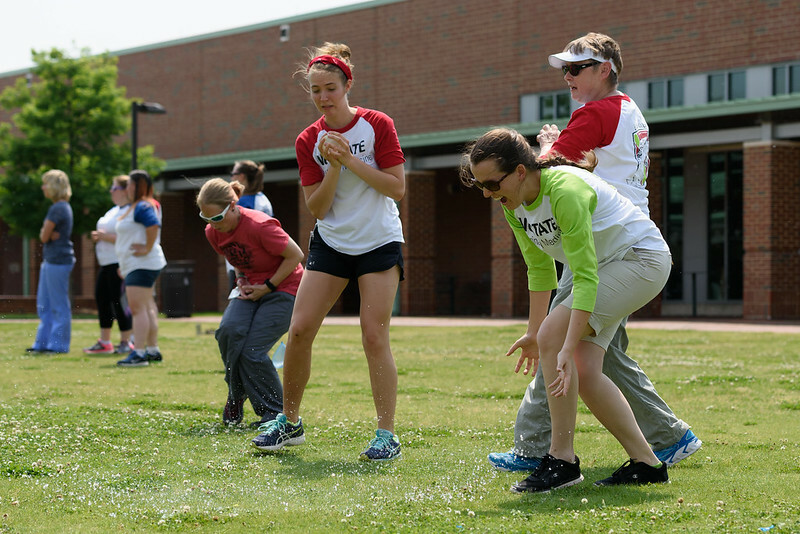 We were impressed. 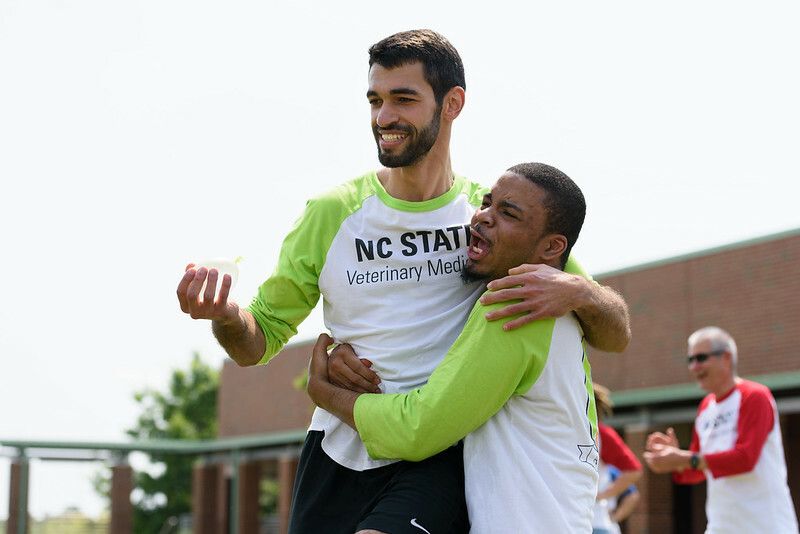 Inside, the quiz bowl was just as competitive, with questions reflecting trivia about the history of veterinary medicine. 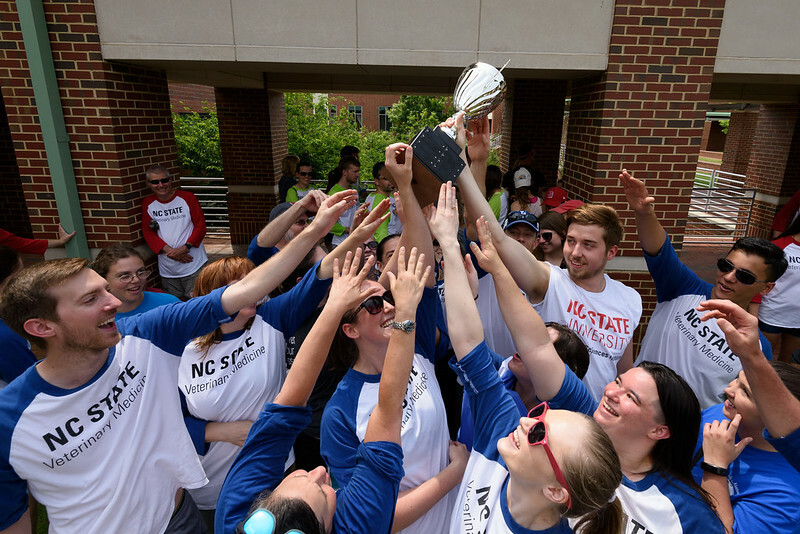 And yes, there was a Final Jeopardy-esque ending, replete with organizers humming the well-known TV song as teams jotted down answers. 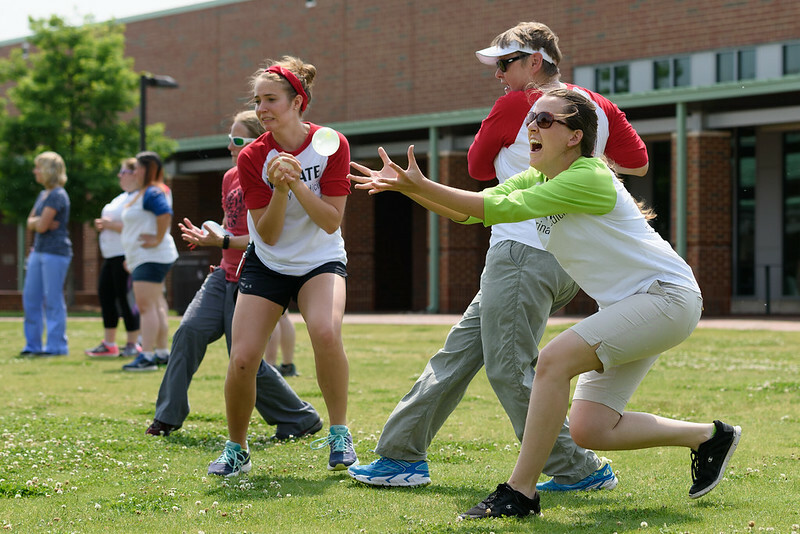 The action moved back to the front lawn for a trio of events. 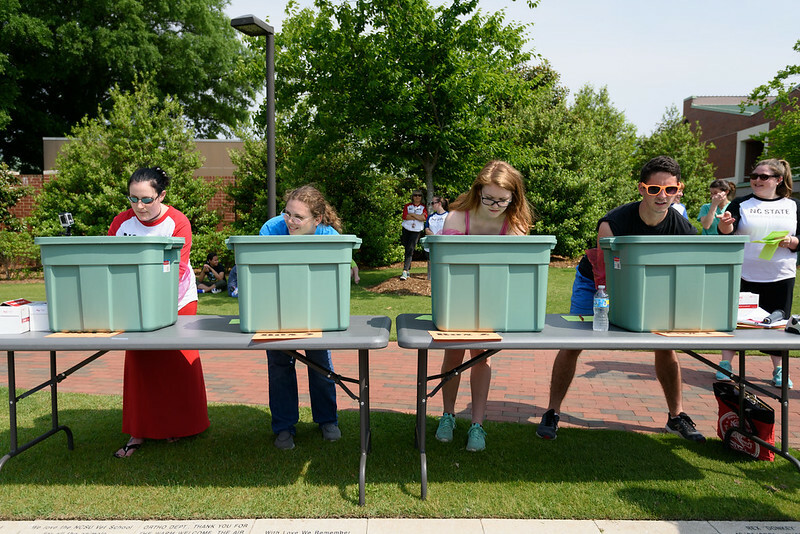 First up: the mystery box game, where the bravest members of each house took turns blindly trying to identify three items in three different boxes. 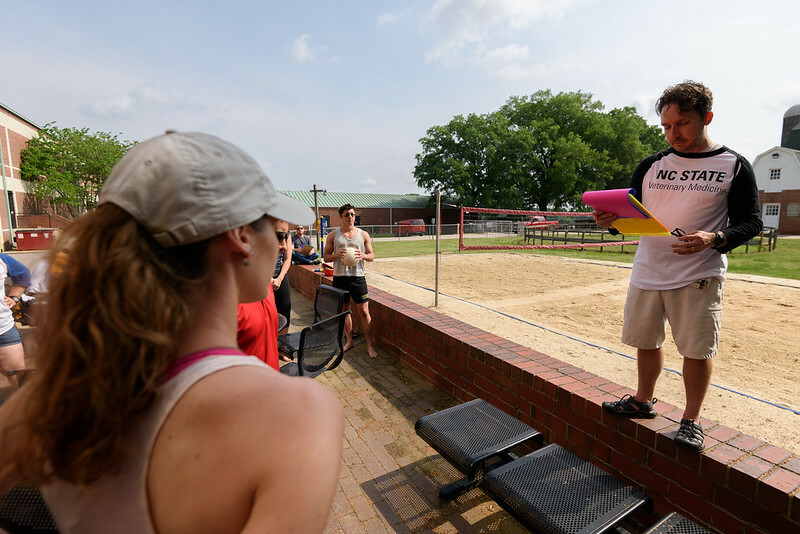 And, for the record, nothing was alive. 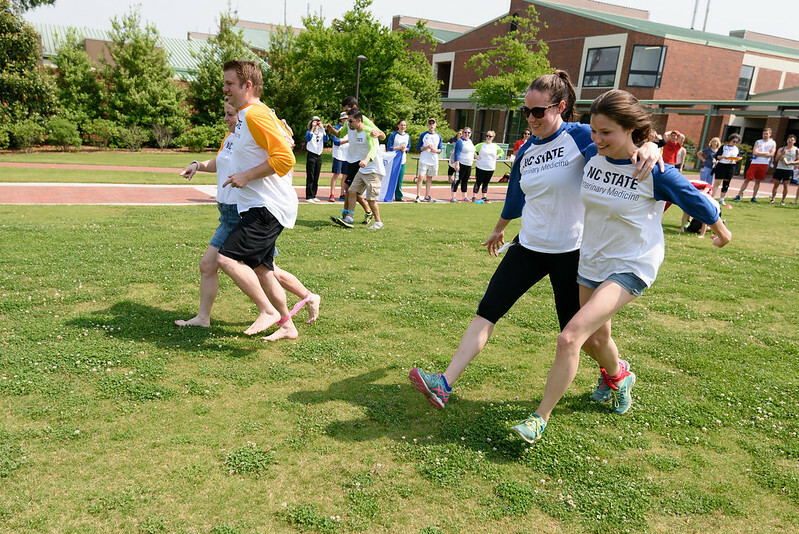 Next up, the always-harder-than-it-looks three legged race tournament. 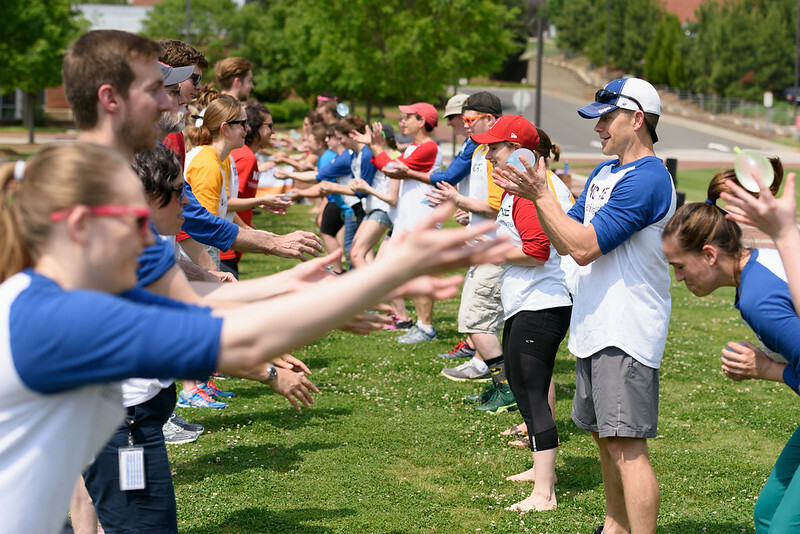 Many teams practiced beforehand, but that didn’t make much difference. 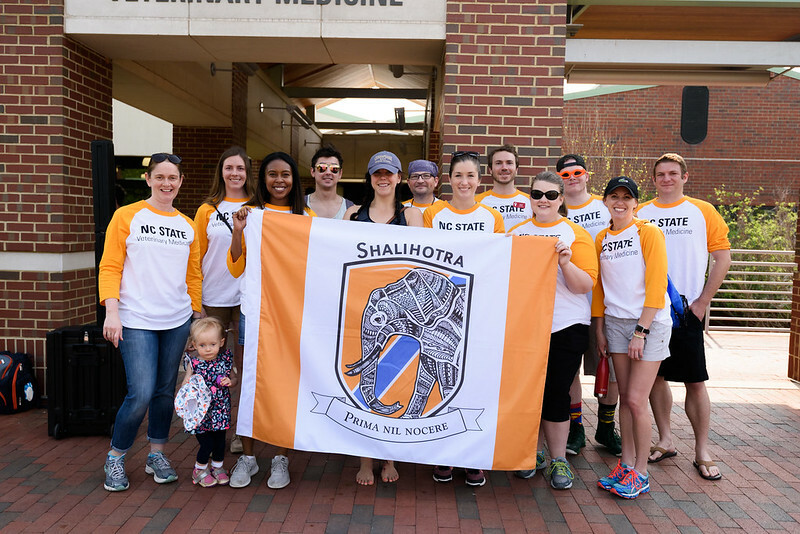 The team that did win, from House Shalihotra, didn’t practice at all beforehand. 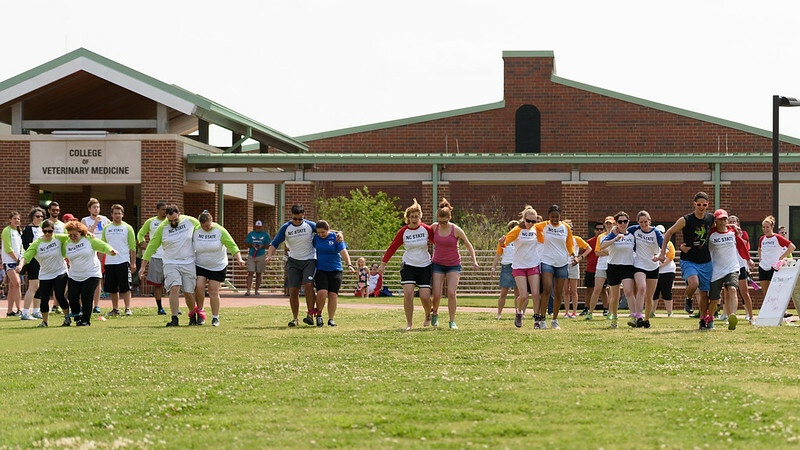 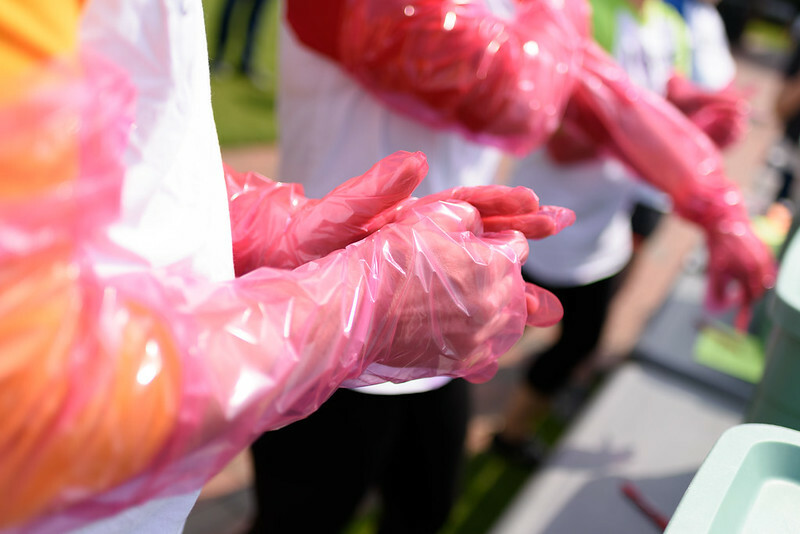 Lastly, pairs from each house lined up across from each other for a hard-fought balloon toss, particularly welcome as temperatures got into the 80s.Taking a step back after each successful toss, house members were eliminated after balloons broke and they were doused with water. 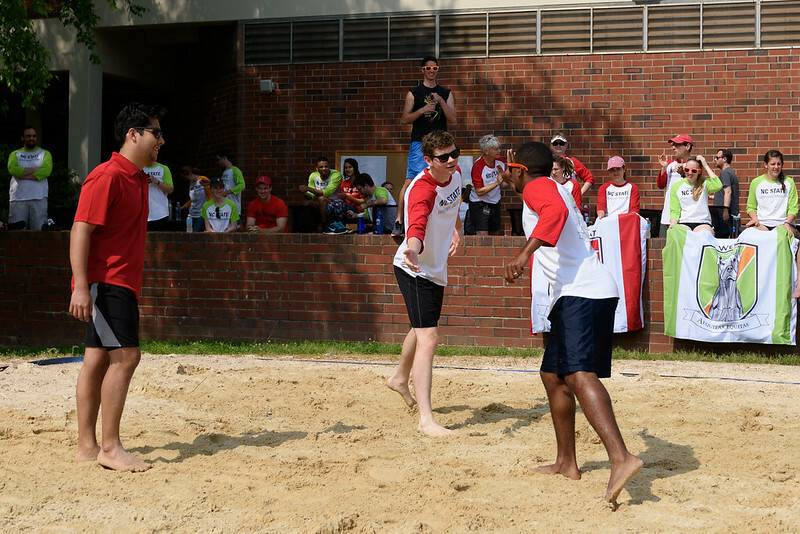 It was a game people were OK with losing. 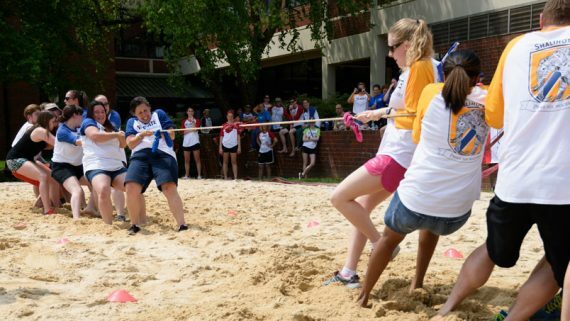 Then it was back outside for the final event, a tug of war tournament between all houses, two at a time, on the volleyball court. 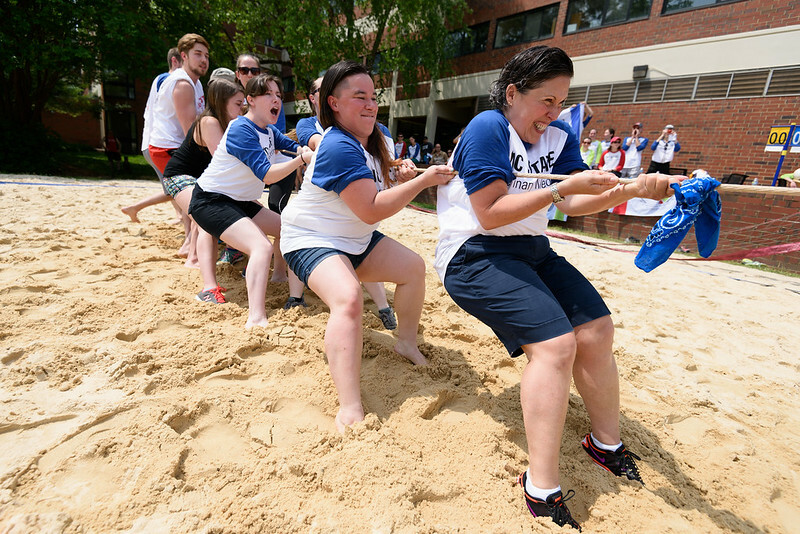 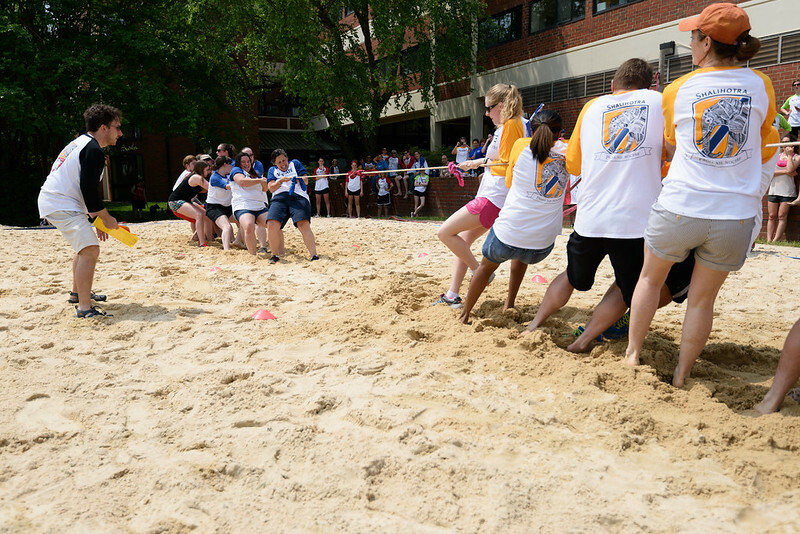 You haven’t seen a brutal tug of war until you’ve seen a CVM House Cup tug of war. 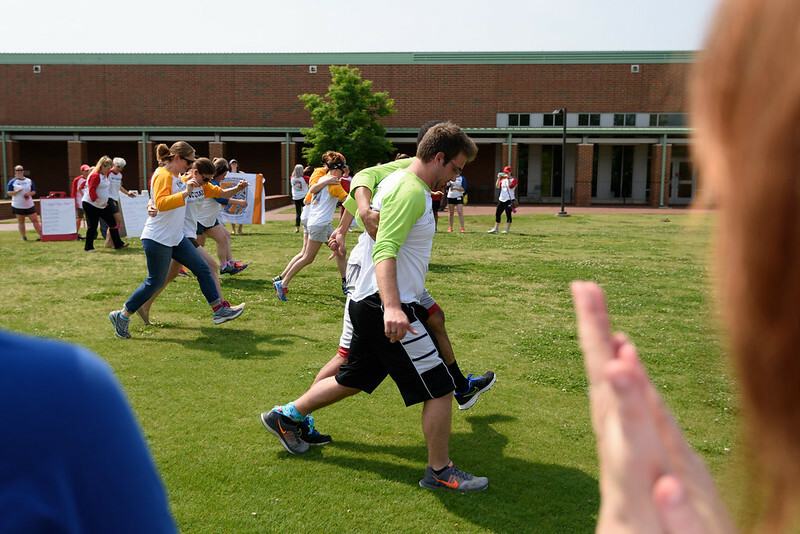 The points from the House Games were tallied and added to the points houses had already accumulated for the year. 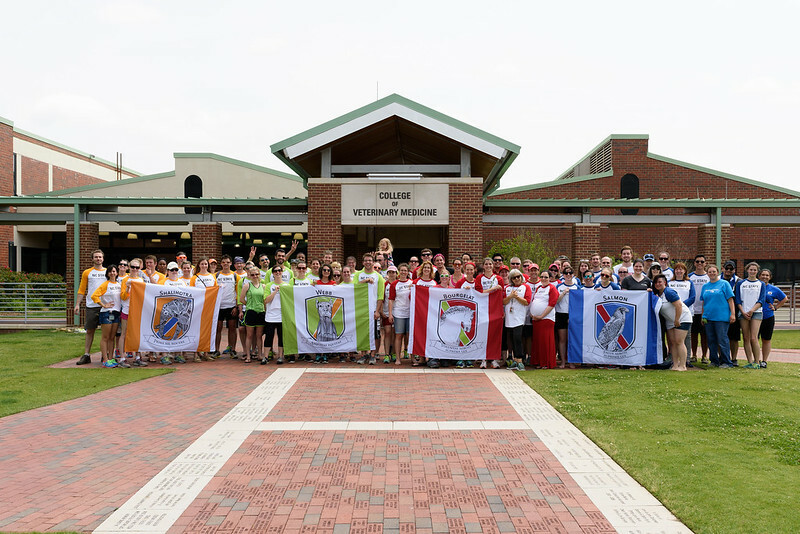 In fourth place was House Shalihotra with 2,179.25 points, with House Webb was in third with 2,718.25. 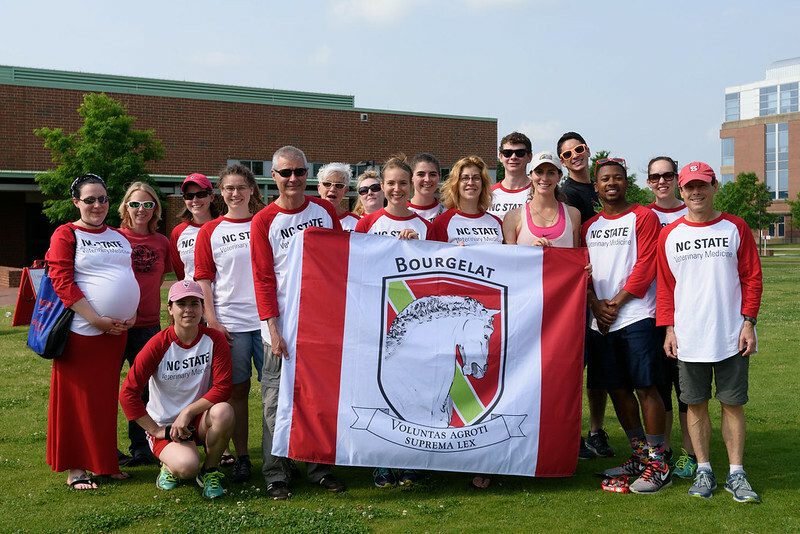 Runner up for the year: House Bourgelat with 3,458.25 points. 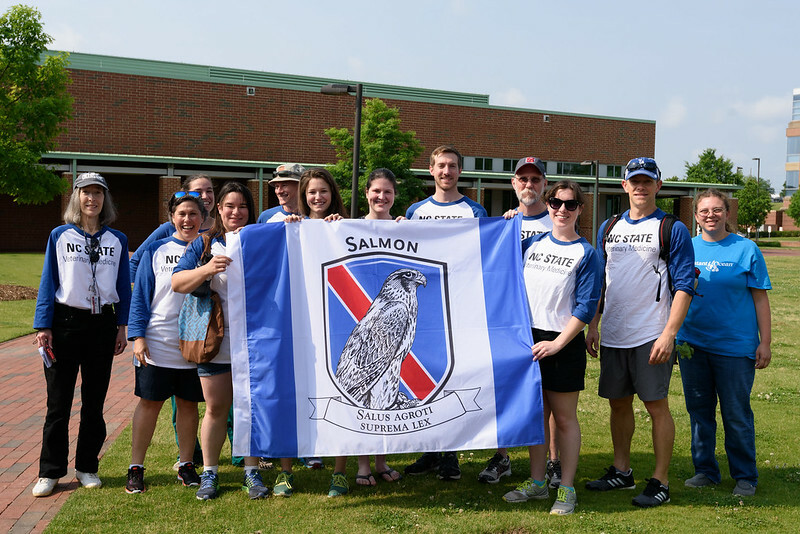 And victory belonged to House Salmon, with 3,706.25 points. 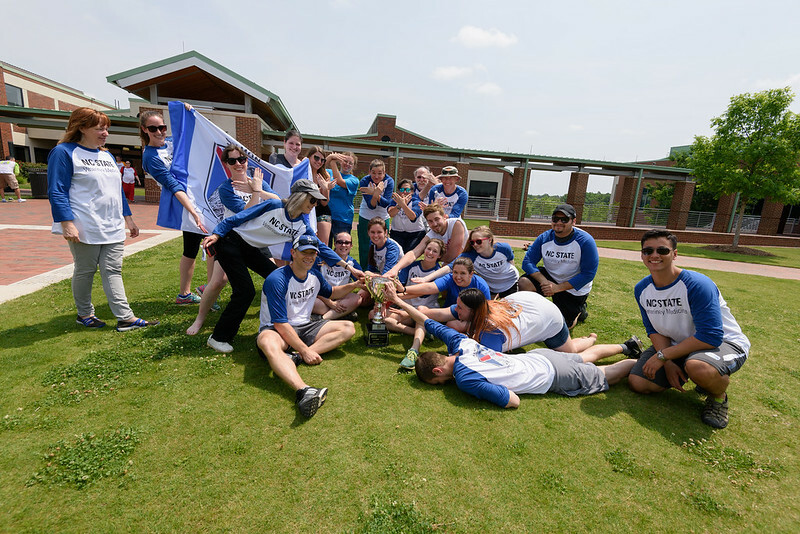 The team then triumphantly posed with the House Cup trophy. 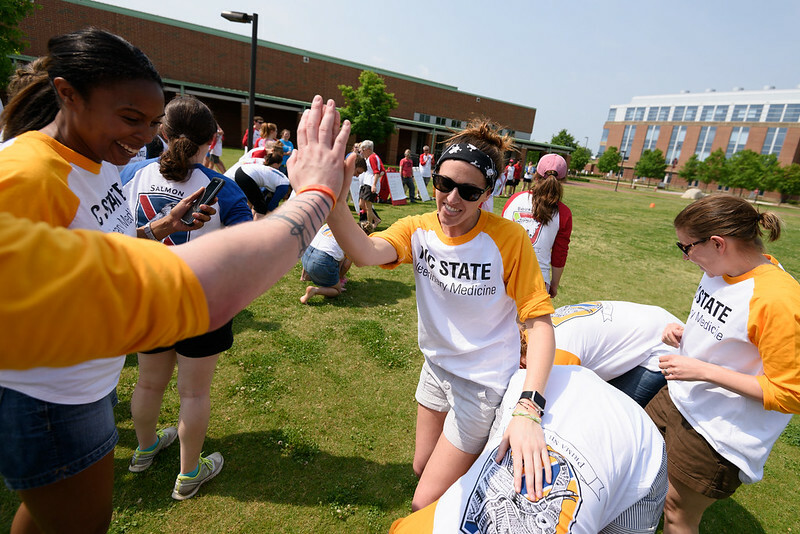 The celebration won’t last long though: In August, the Class of 2021 will be sorted into houses — and the house system competition will begin again, leading up to the second House Games. 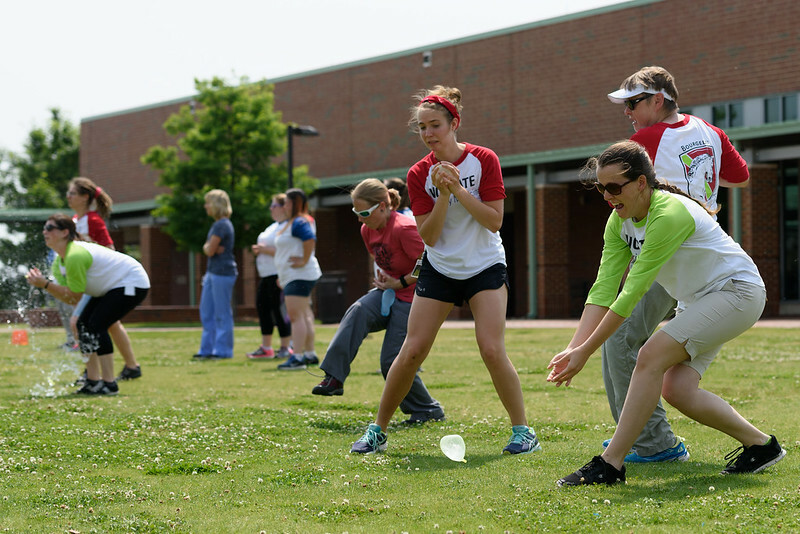 Better start practicing those tug of war skills. 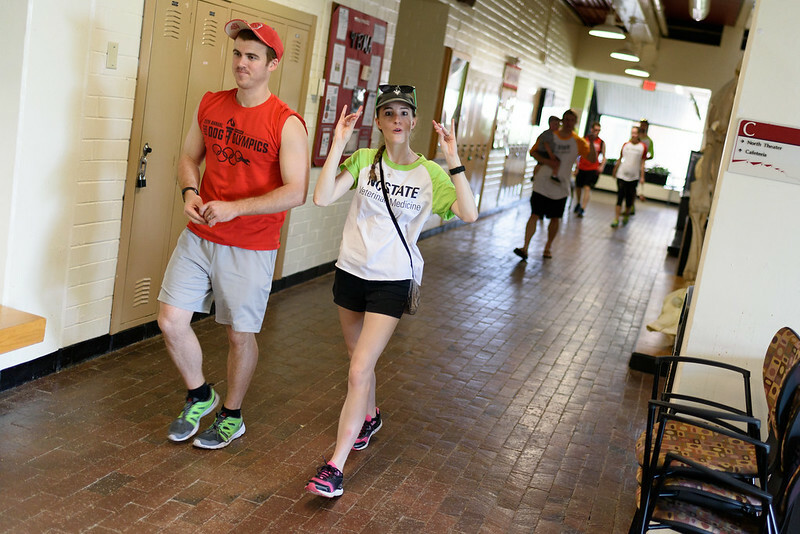 In between studies, of course. 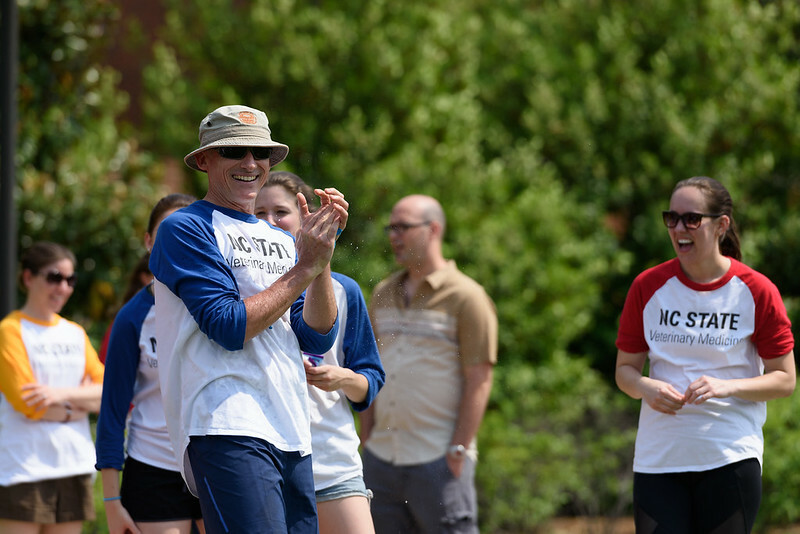 Full photo gallery below.